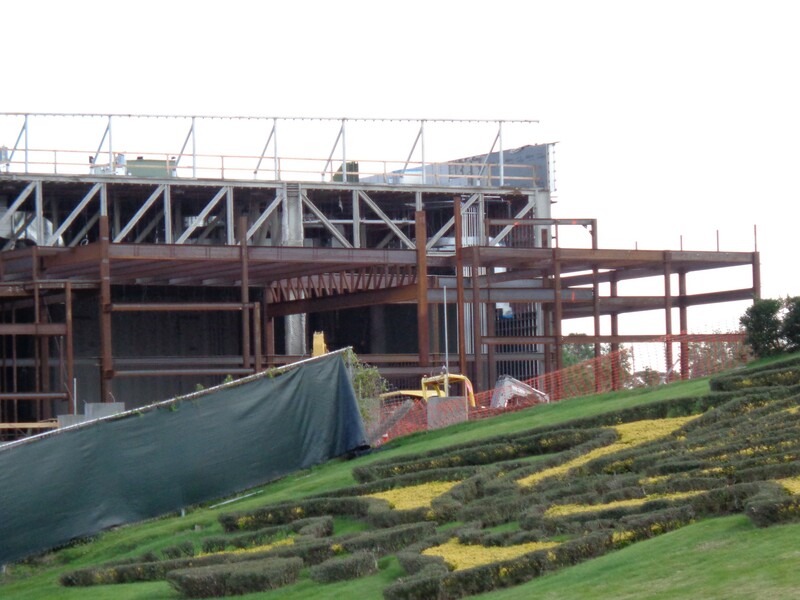 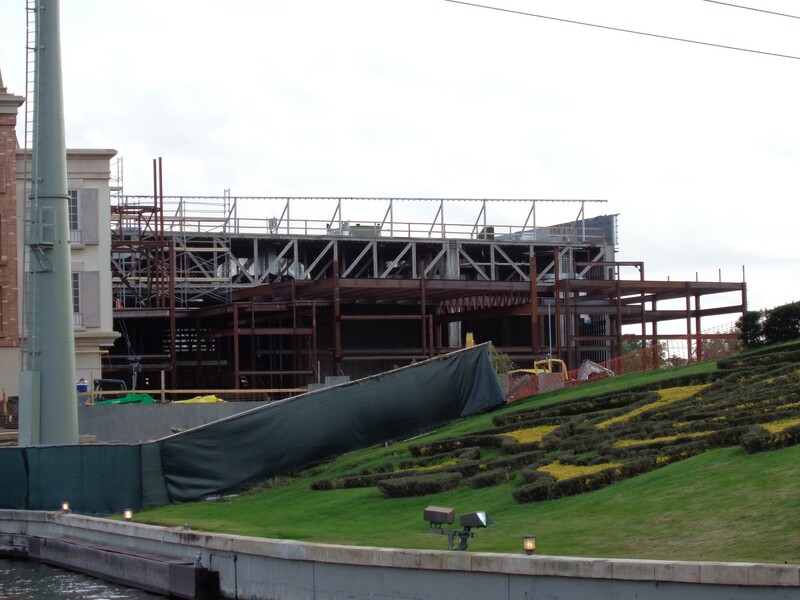 Some of the biggest projects in Orlando are happening right now in Epcot. 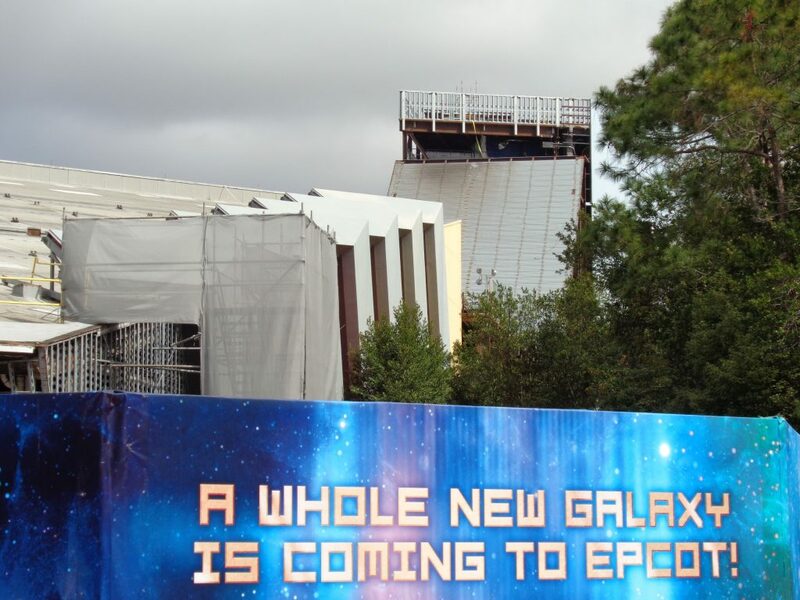 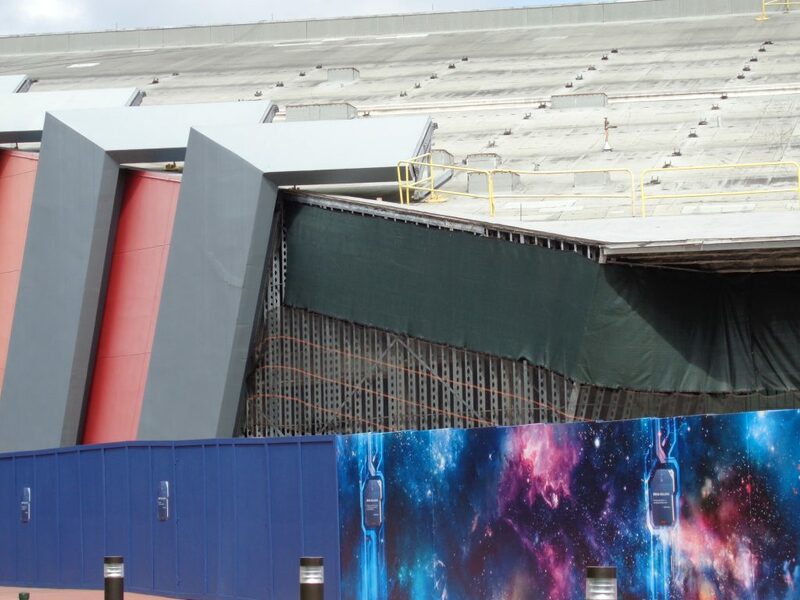 The massive Guardians of the Galaxy roller coaster structure is now nearly entirely enclosed. 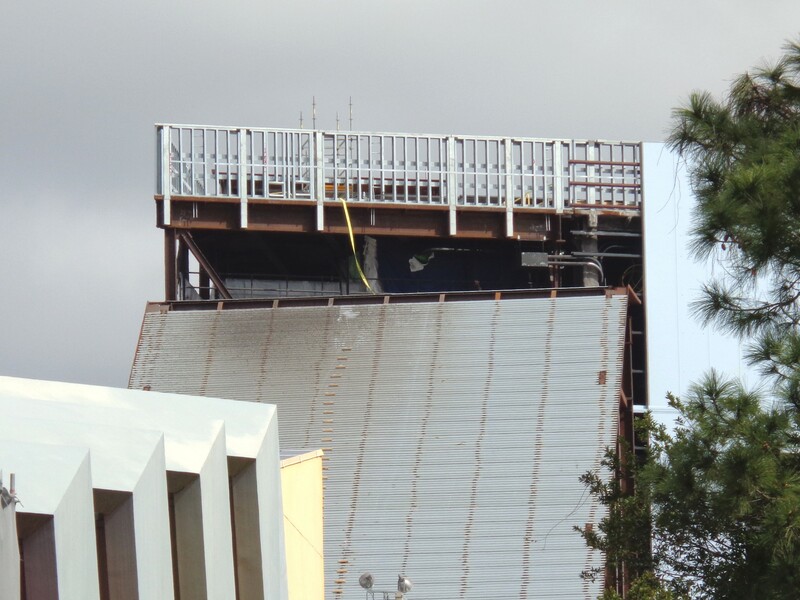 The tunnel that connects the new structure to the old Universe of Energy building is not yet enclosed however, allowing us a decent view of the first pieces of coaster track inside that appear to launch upwards at the start of the ride. 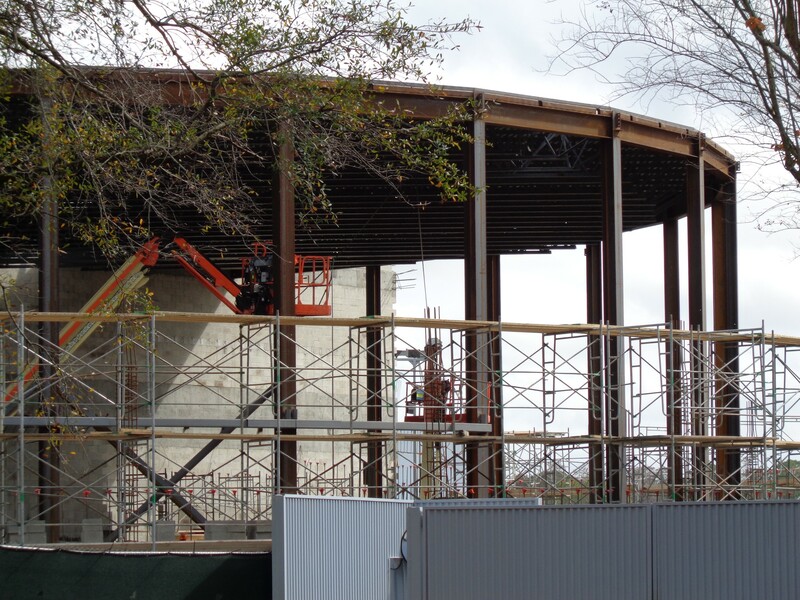 Nearby, the space restaurant is taking shape, namely a round shape. 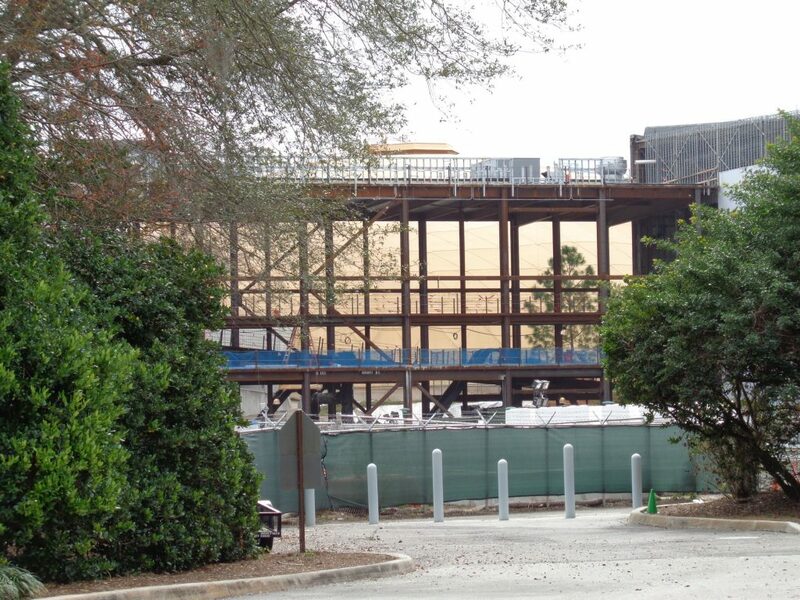 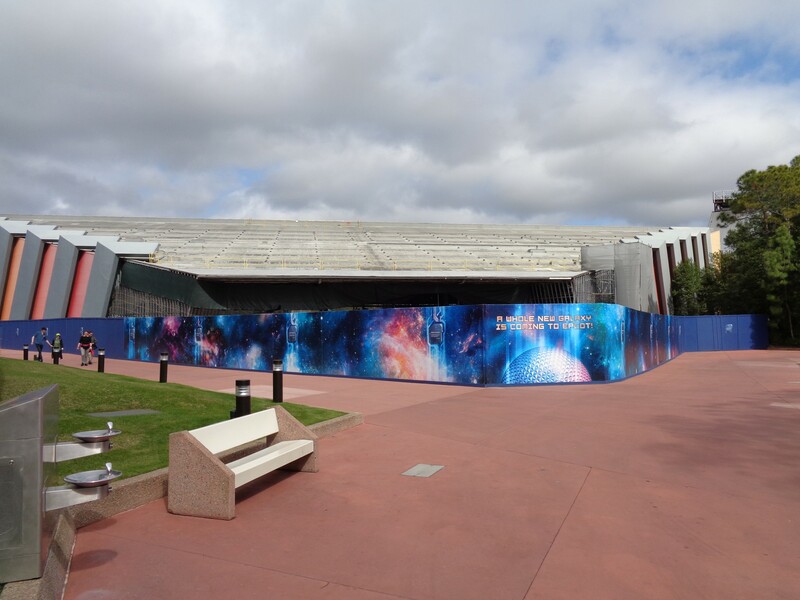 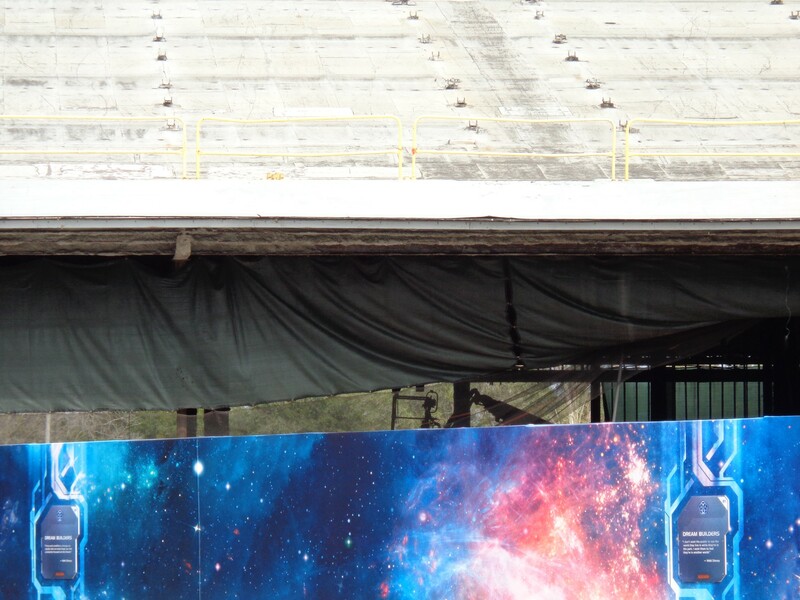 The restaurant located next door to Mission: Space will feature a massive wrap-around “window” out to space. 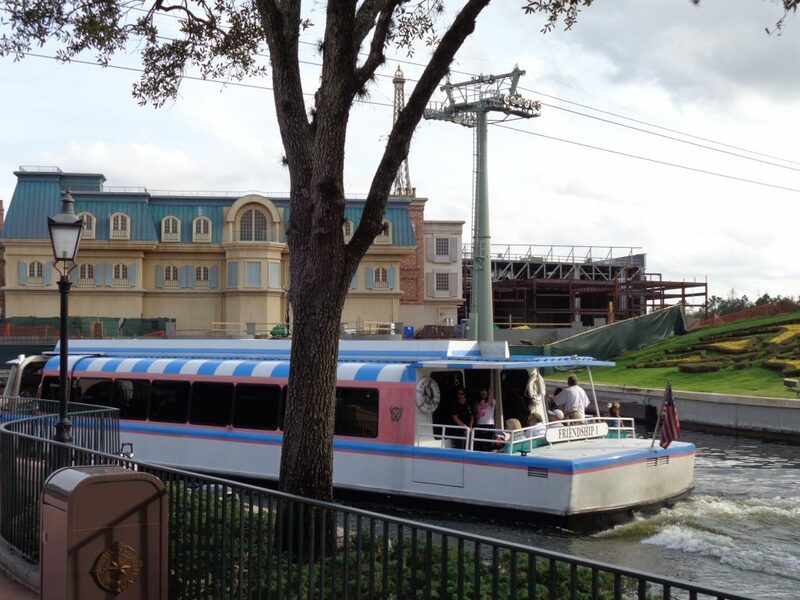 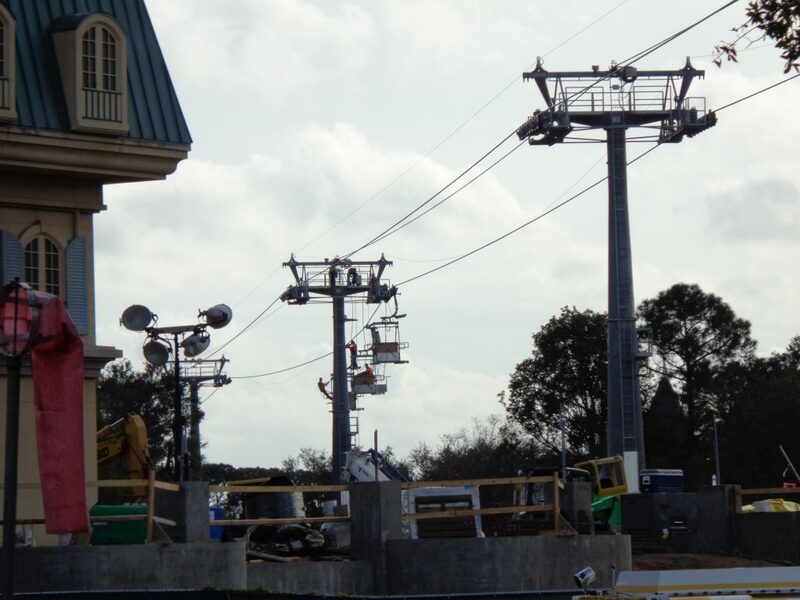 The Disney Skyliner station is looking more and more complete each day and next door, the France pavilion is getting a new path to the new Remy’s Ratatoiulle’s Adventure ride. 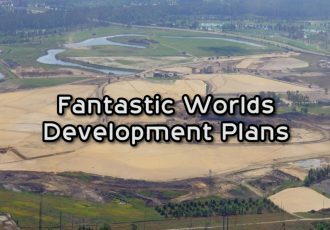 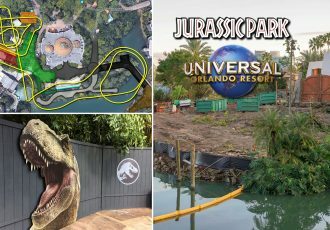 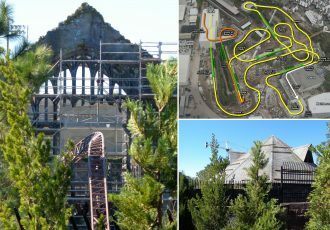 Check out the complete photo report below for more details and stay tuned for more theme park updates. 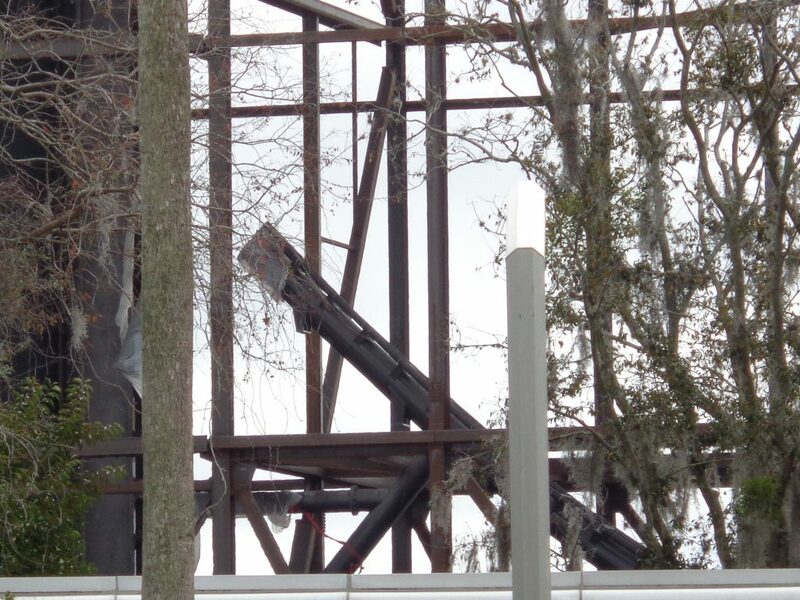 Before we enter the park, let’s get a look at the only piece of roller coaster track that can be spotted for the new Guardians of the Galaxy ride. Nearly the entire massive structure has now received the green and blue panel walls, but the bridge that connects the old Universe of Energy building to the new massive structure is still only steel. 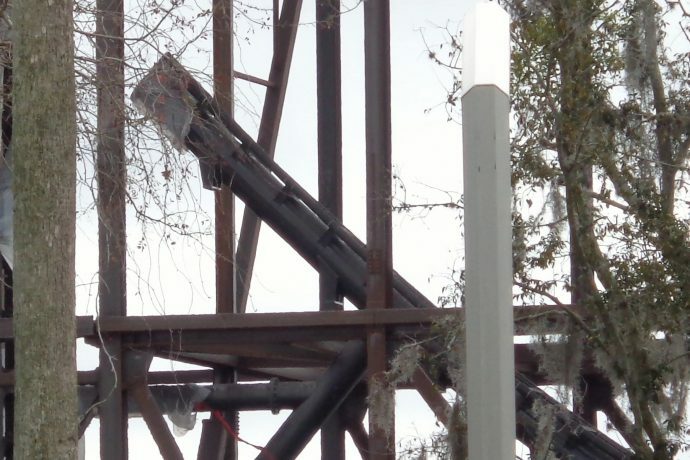 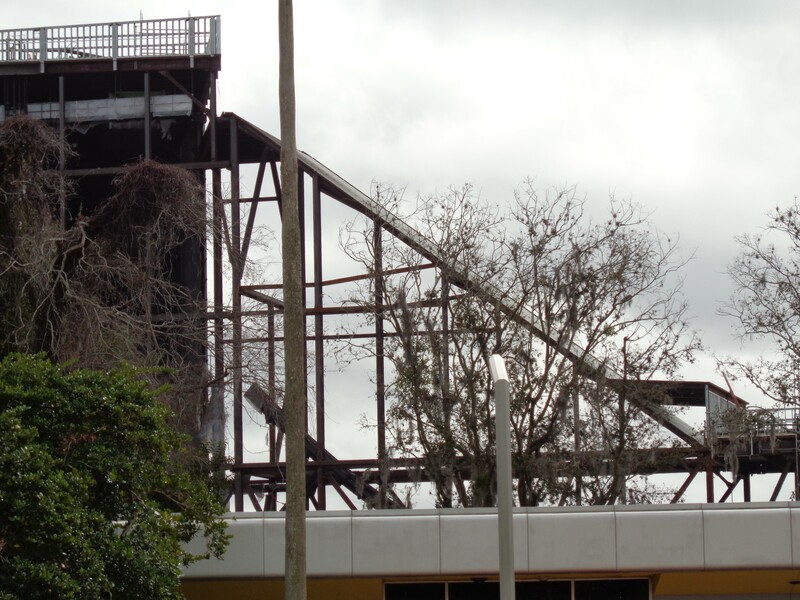 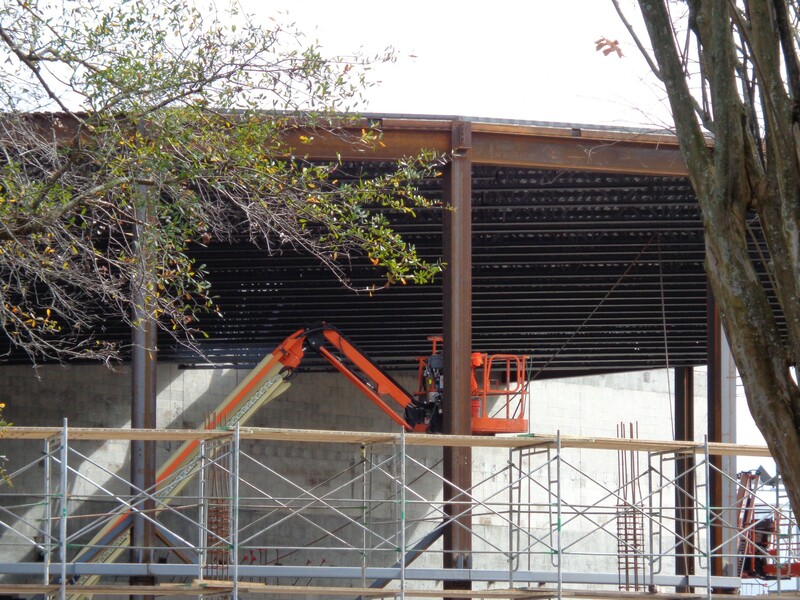 Here we can see a section of coaster track, launching directly into the building. 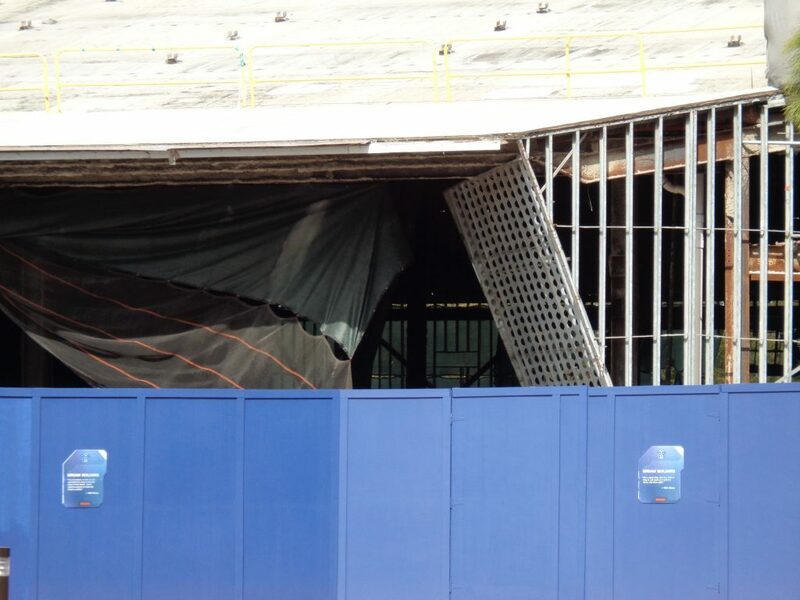 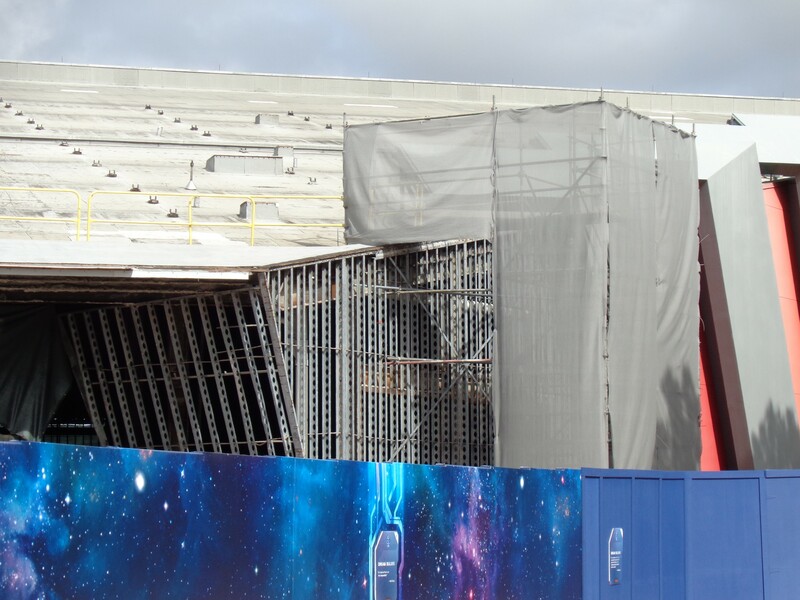 After entering the park, if we look to our immediate left we can see parts of the back of the original Universe of Energy has been stripped and is receiving new steel. 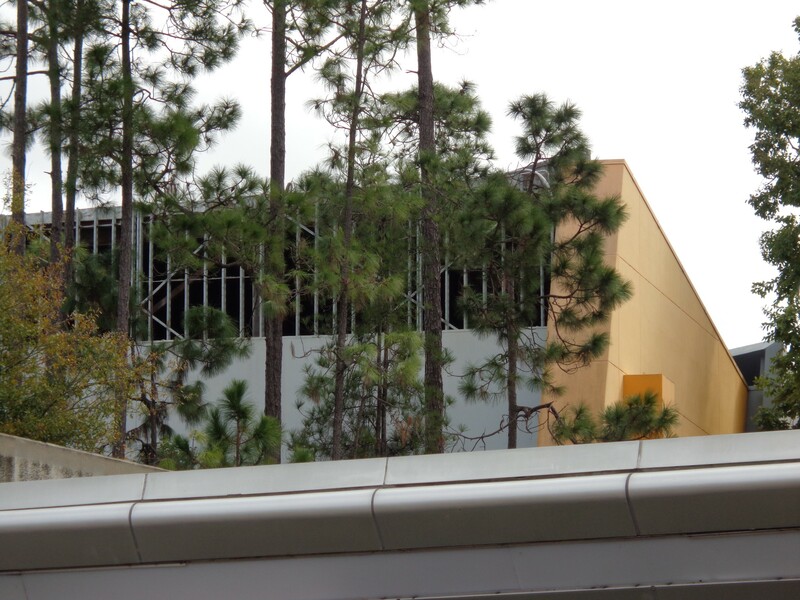 Going into Future World East, we can still see straight through the old Universe of Energy building. 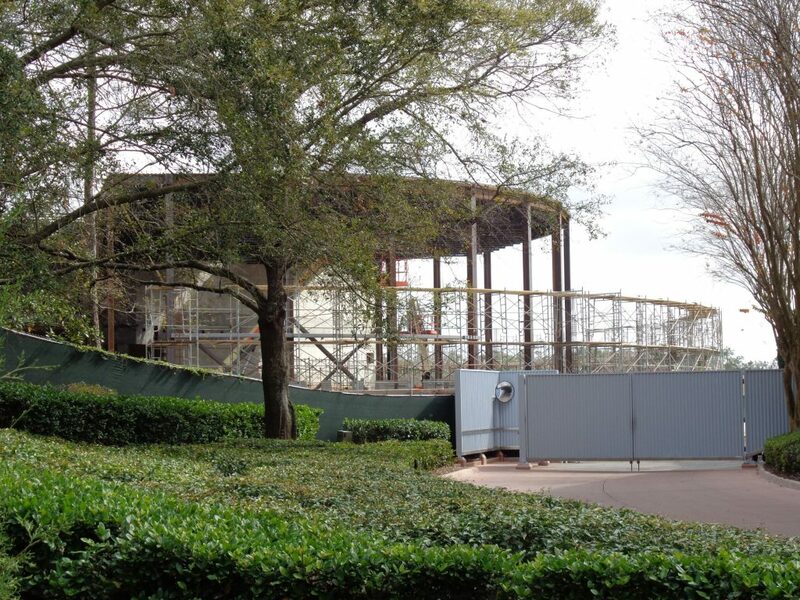 This structure is remaining to become the new attraction’s queue, preshow areas, and load platform. 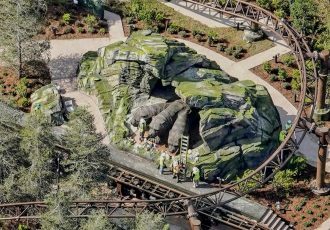 There is still a lot of work to be done before it’s ready to open by 2021. 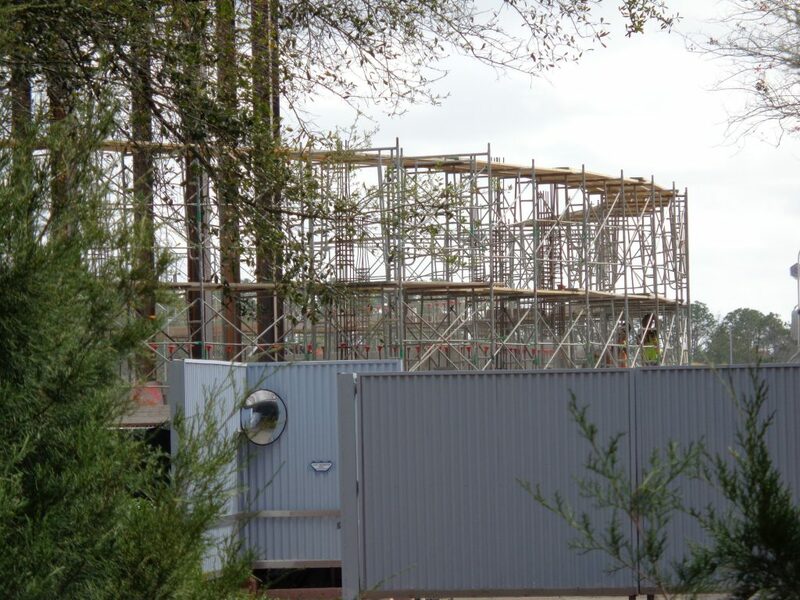 Hidden off to the right, far behind the entrance for this ride, sits that gigantic structure, where most of the roller coaster ride will take place. 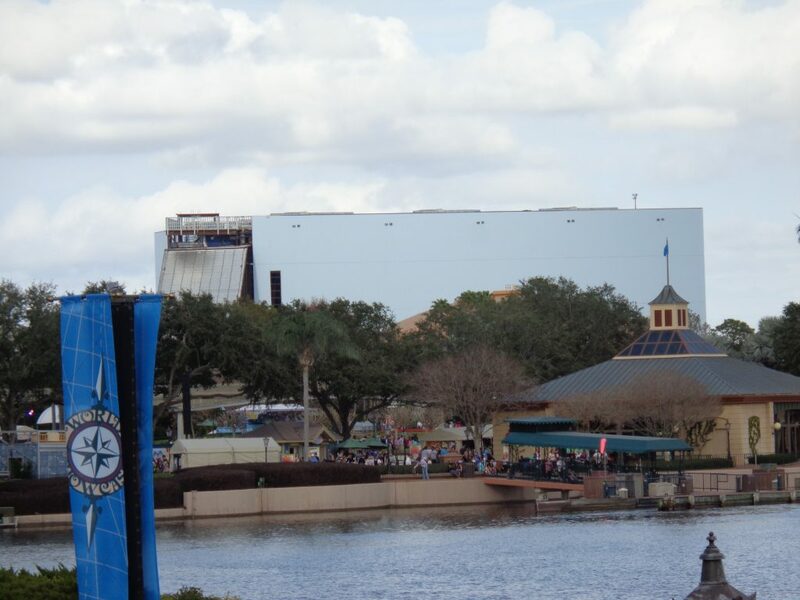 If you stand in just the right spot you can see it from here, but just barely. 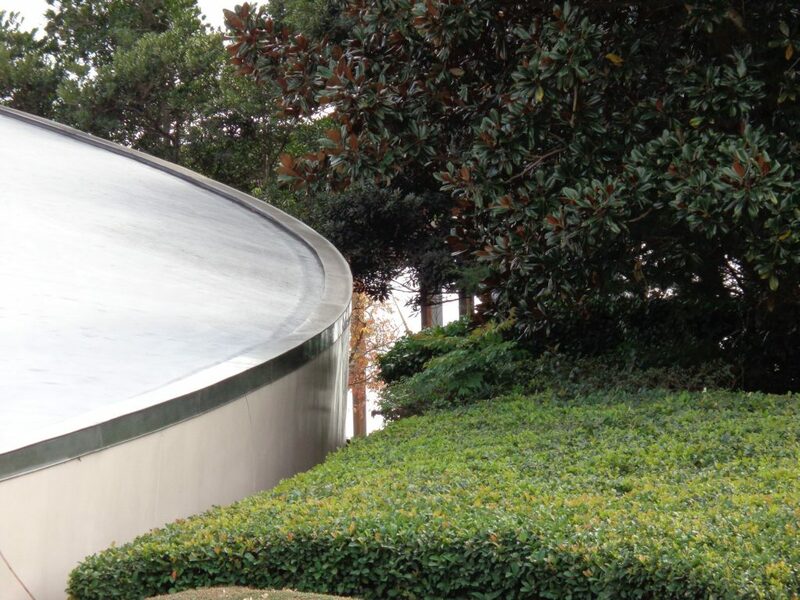 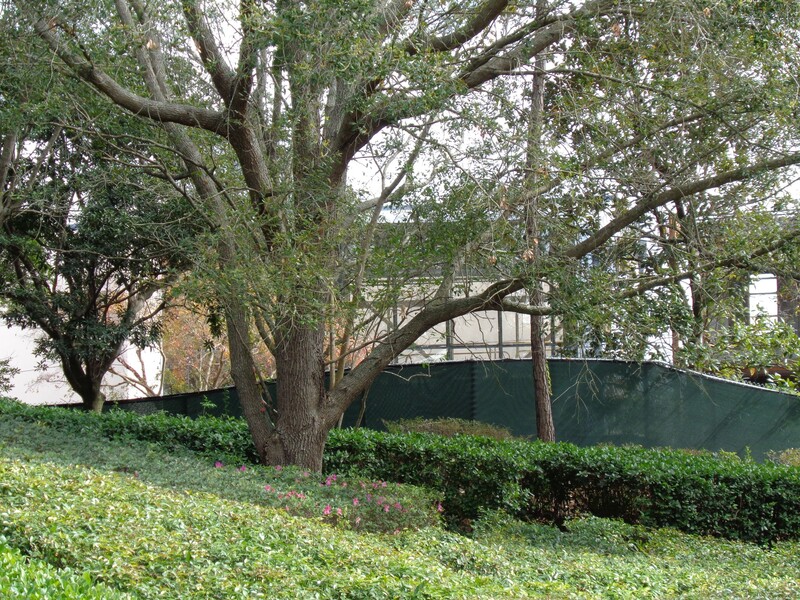 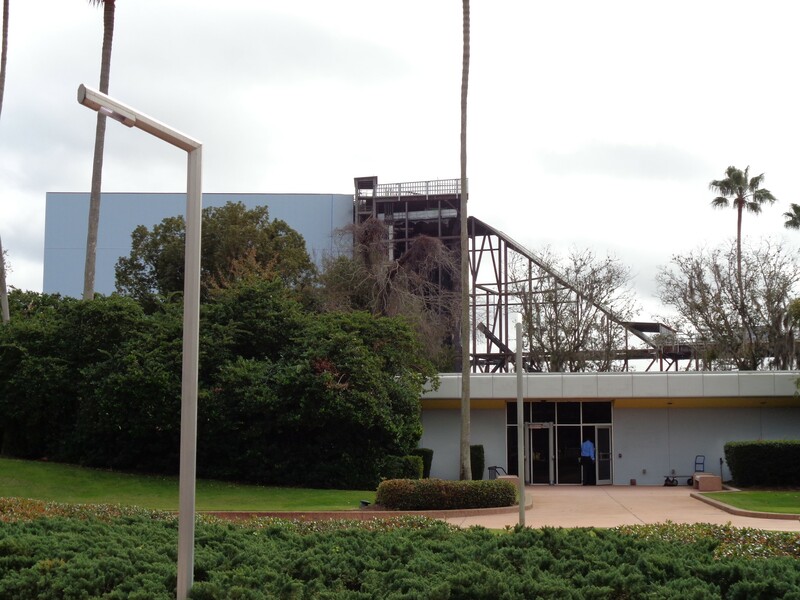 All of the old solar panels have been removed from the original Universe of Energy building. 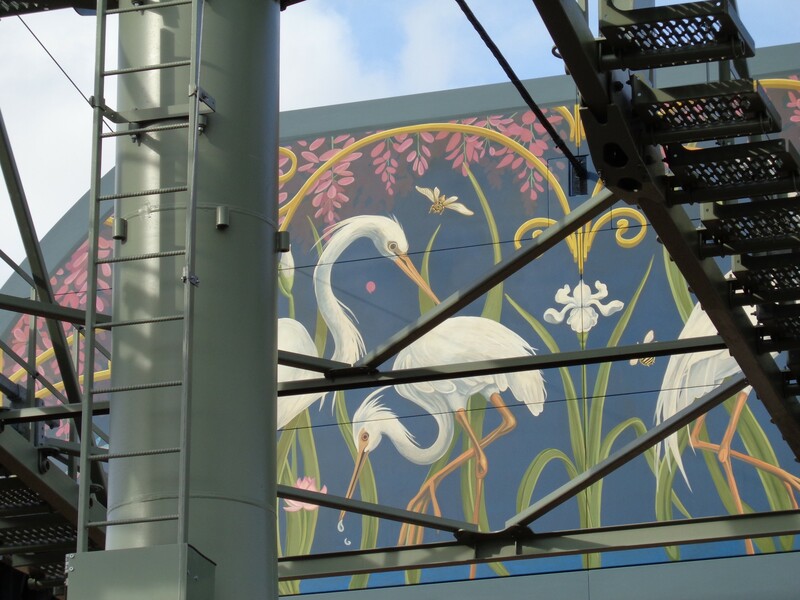 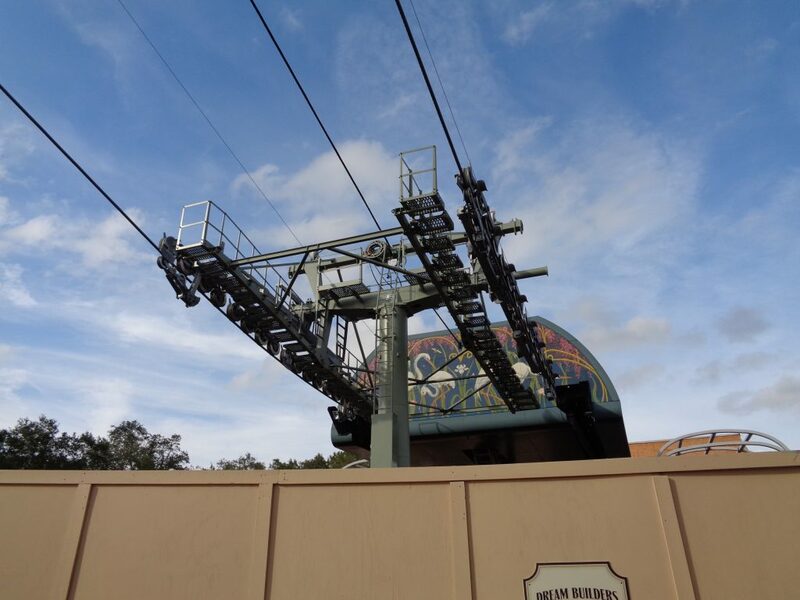 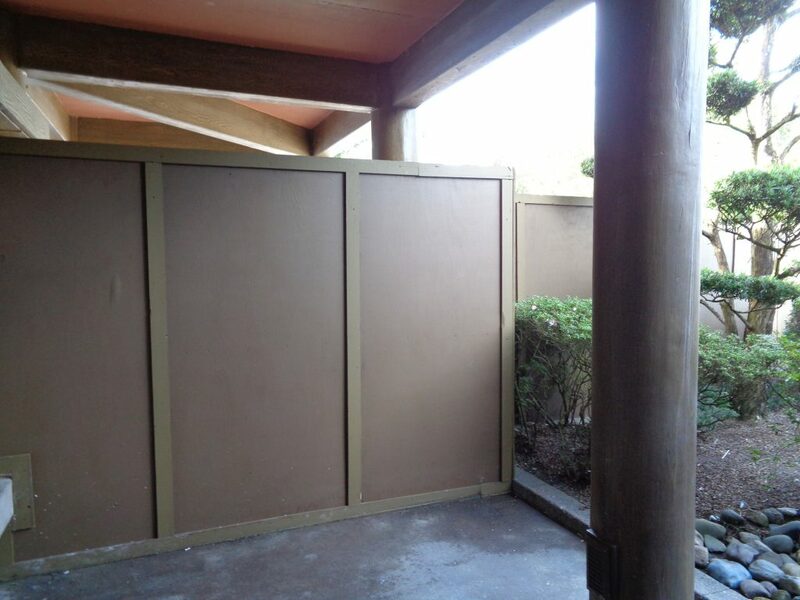 It’s my hope that they’re replaced with new, modern panels before the attraction opens. 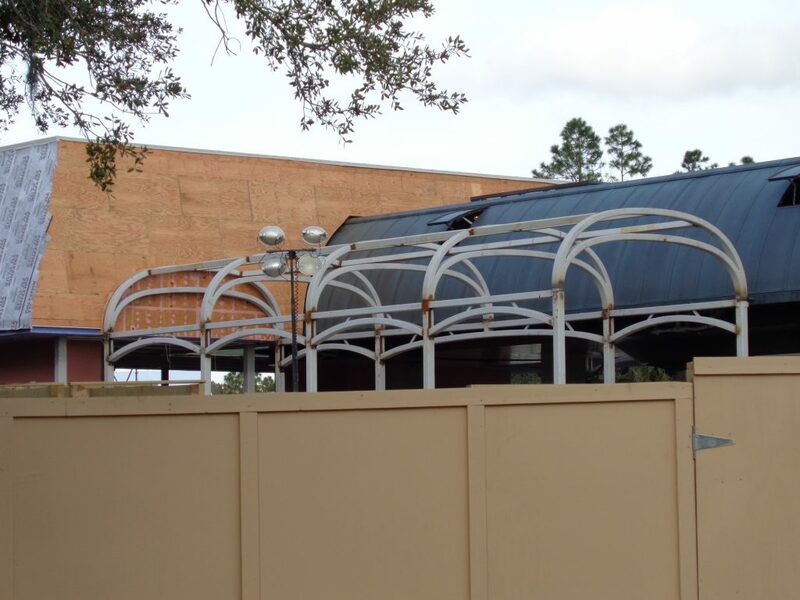 It would be a great way to continue the pavilion’s original legacy. 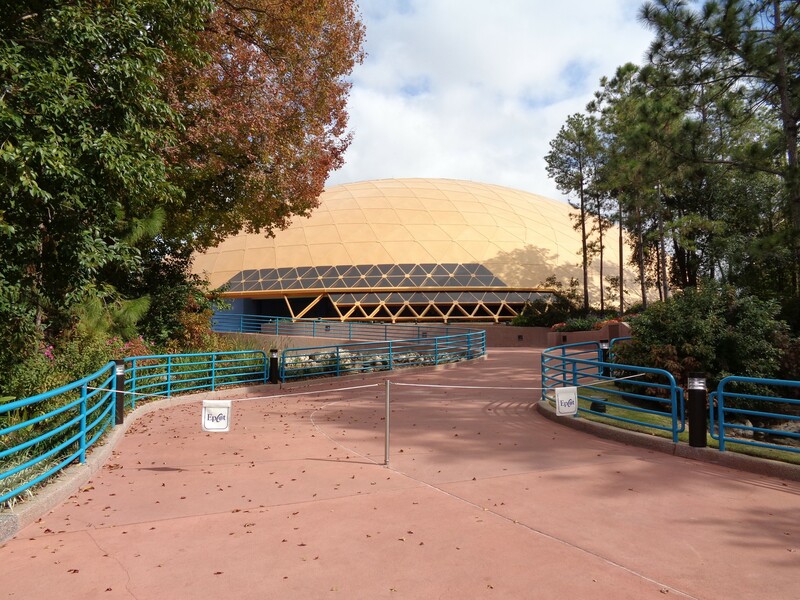 Heading to the next pavilion, which also happens to be closed, the former Wonders of Life is looking brand new after a tremendous amount of roof work and repainting. 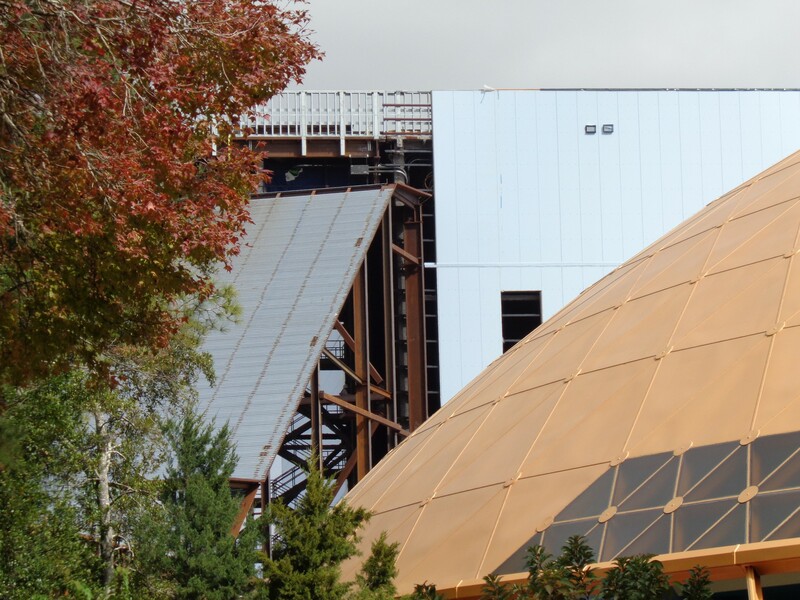 If you peek over the left of the dome structure, you can spy another angle of the bridge between the former Universe of Energy and the new massive coaster building. Here’s a look at the massive Guardians coaster building, as seen from across the lagoon. 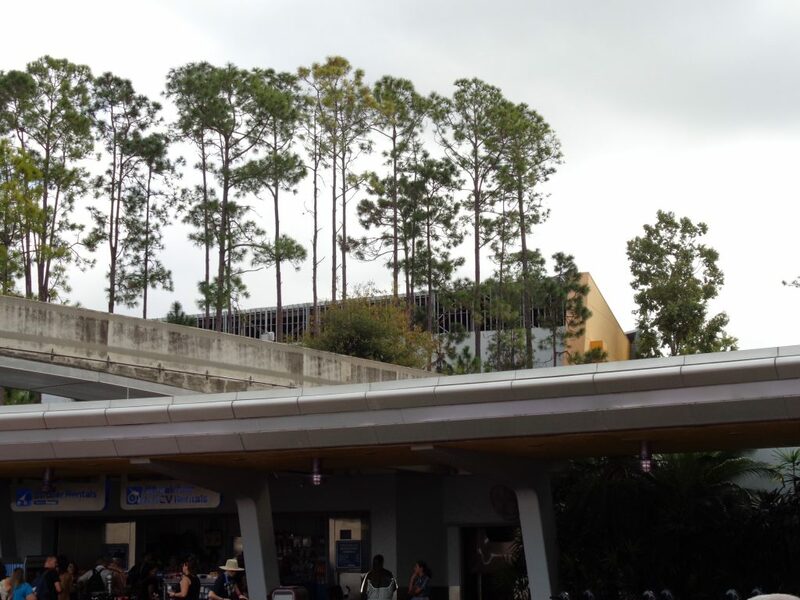 Most of the time I don’t really notice it, but it does stand out here and there. 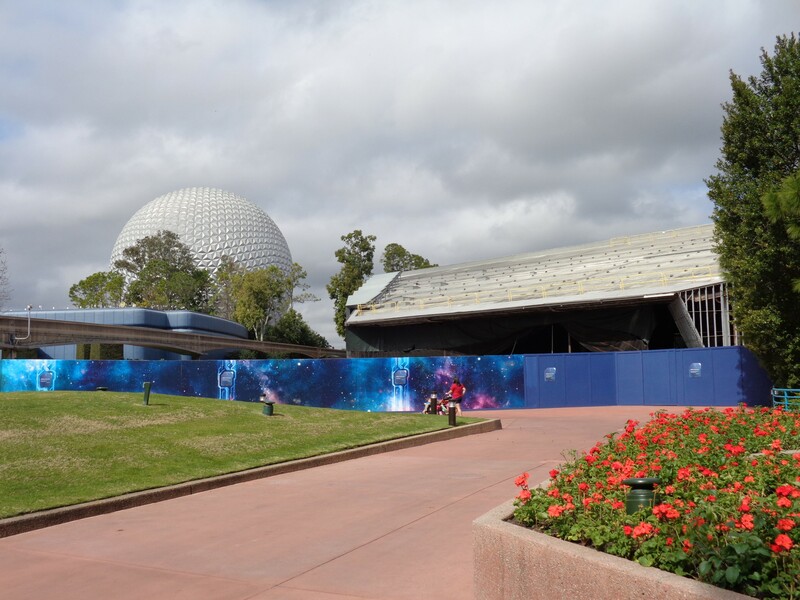 Next up, let’s head to the future site of the new space-themed restaurant. 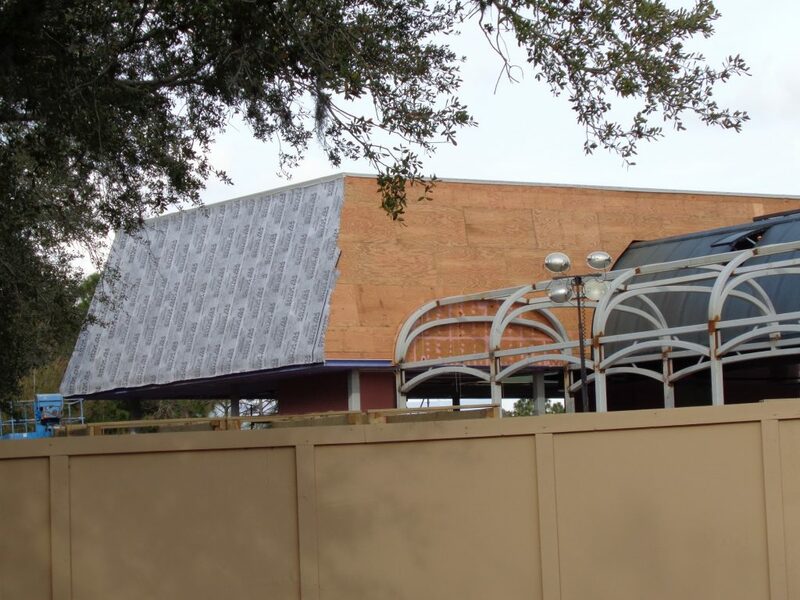 Known so far as “Space 220,” the new restaurant is expected to open later this year. 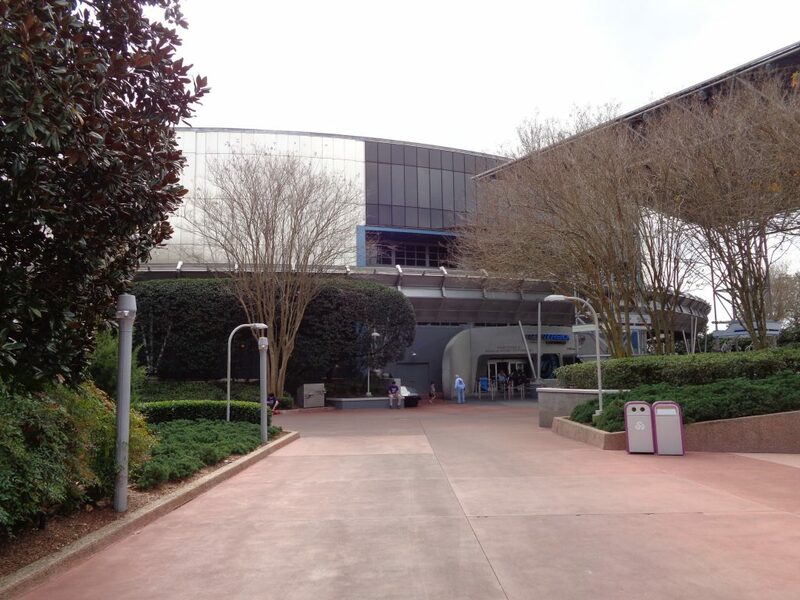 The entrance will be located just to the right of Mission: Space. 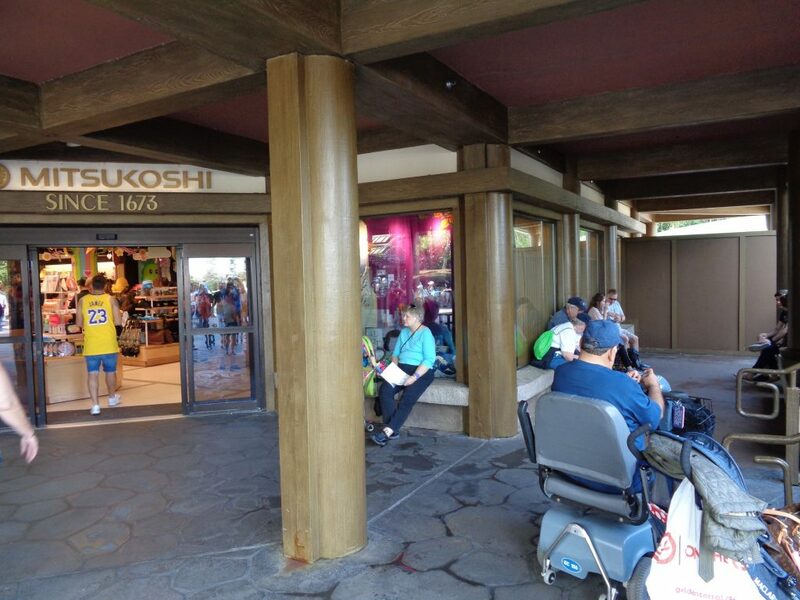 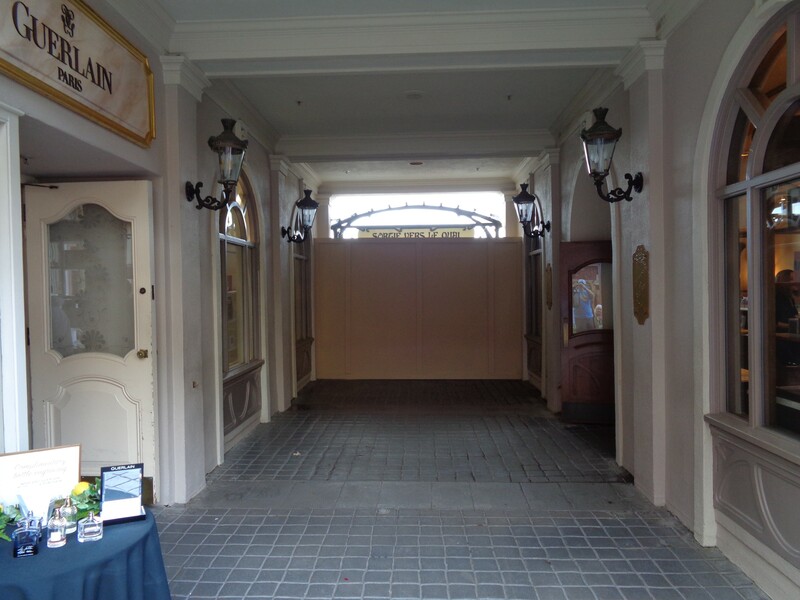 Guests will enter through the former HP lounge building, which is being re-done to become the new entrance for the restaurant. 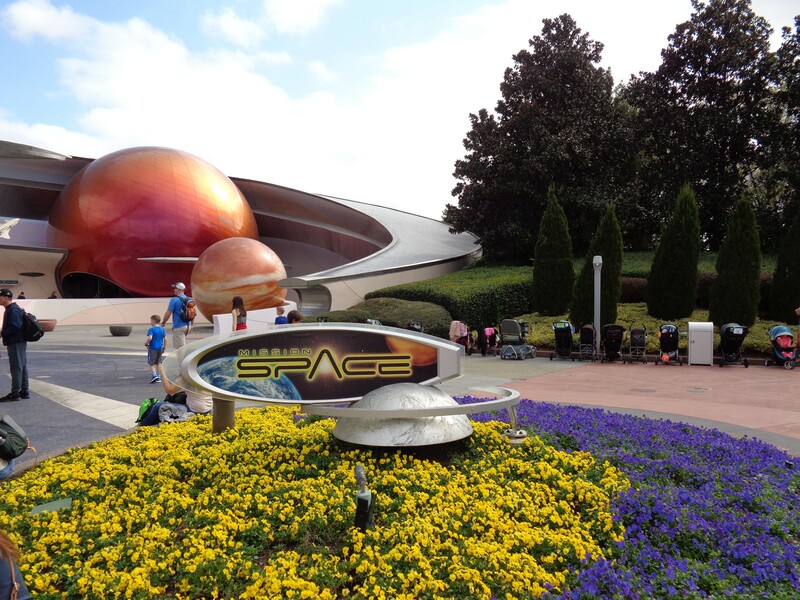 After entering, families will take transport elevators to “space” where they will eat among the stars. 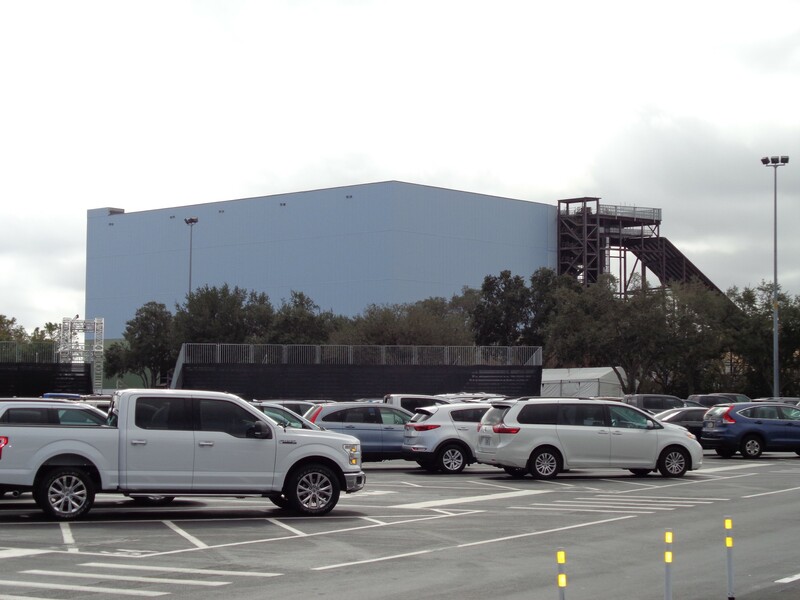 You can kind of see the steel for the new restaurant going up to the right of Mission: Space, but to get a much better view, walk down to Test Track. 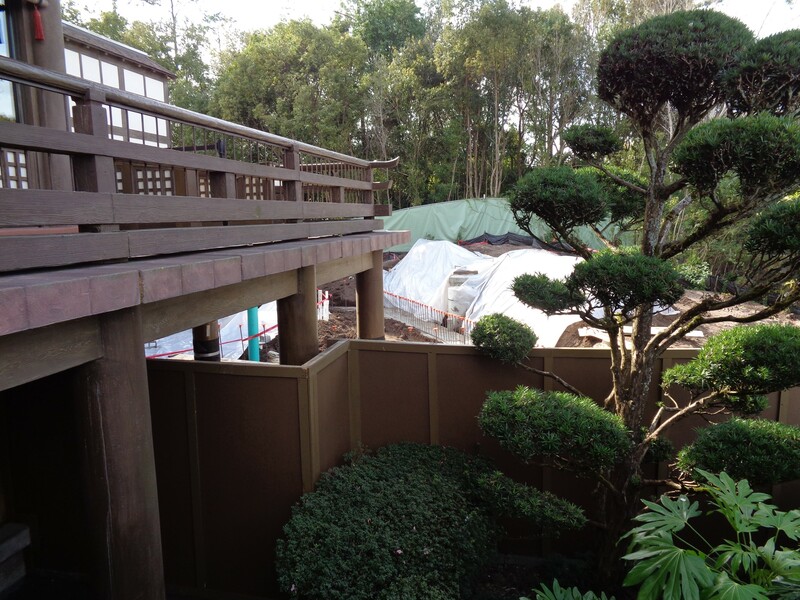 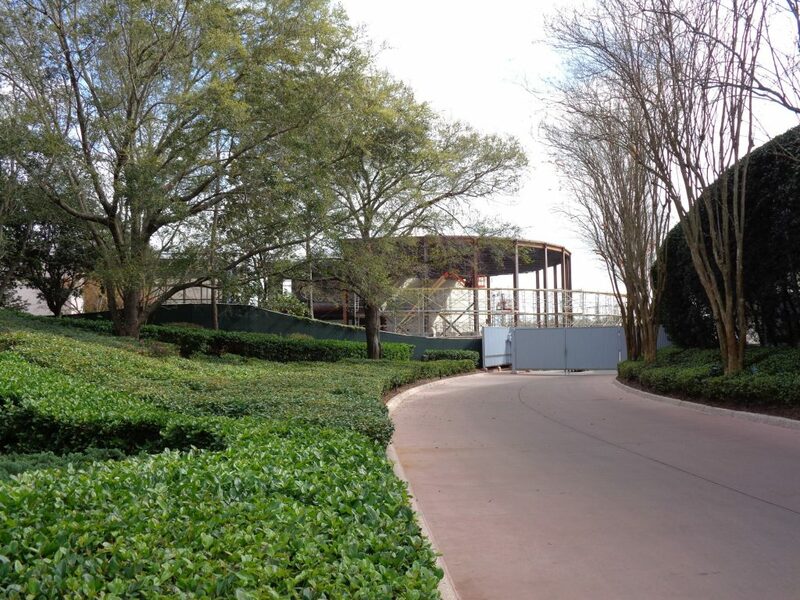 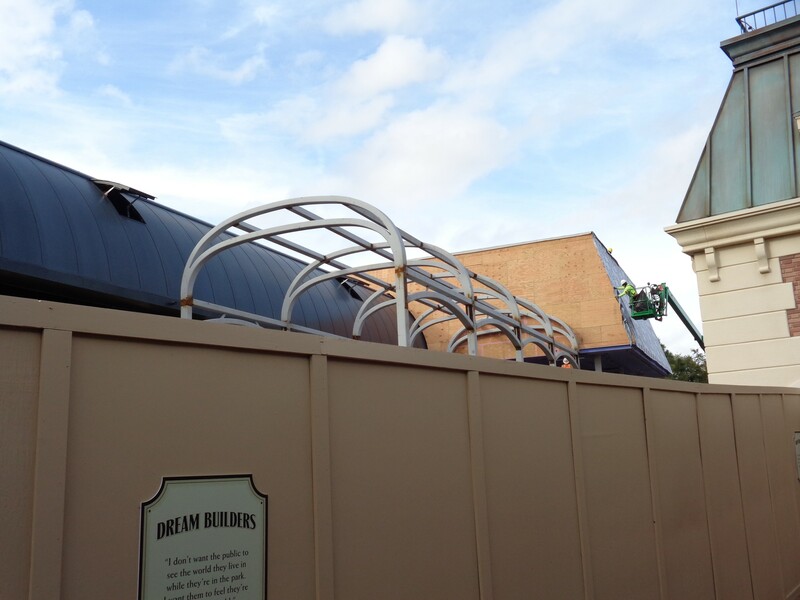 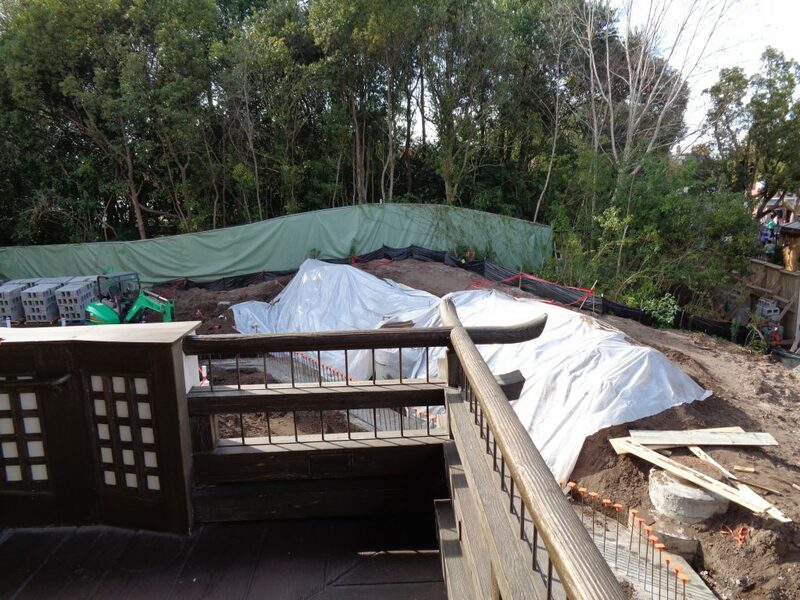 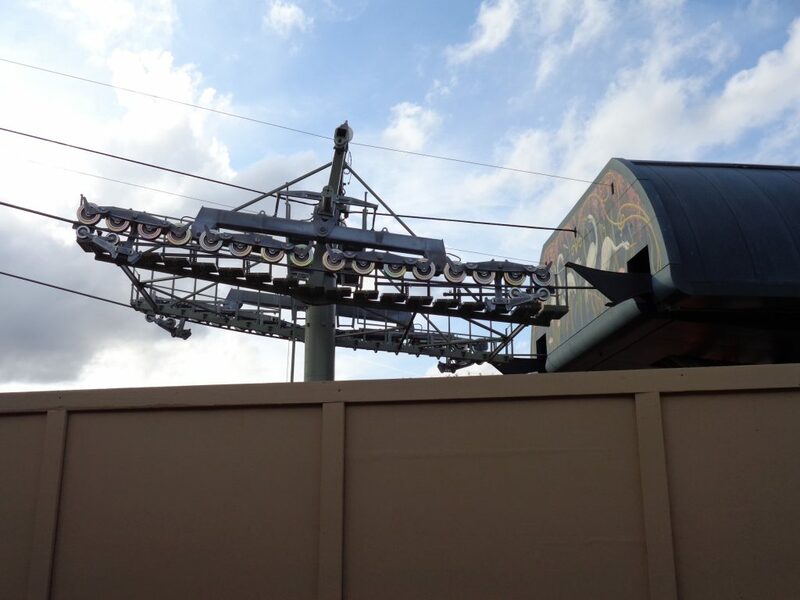 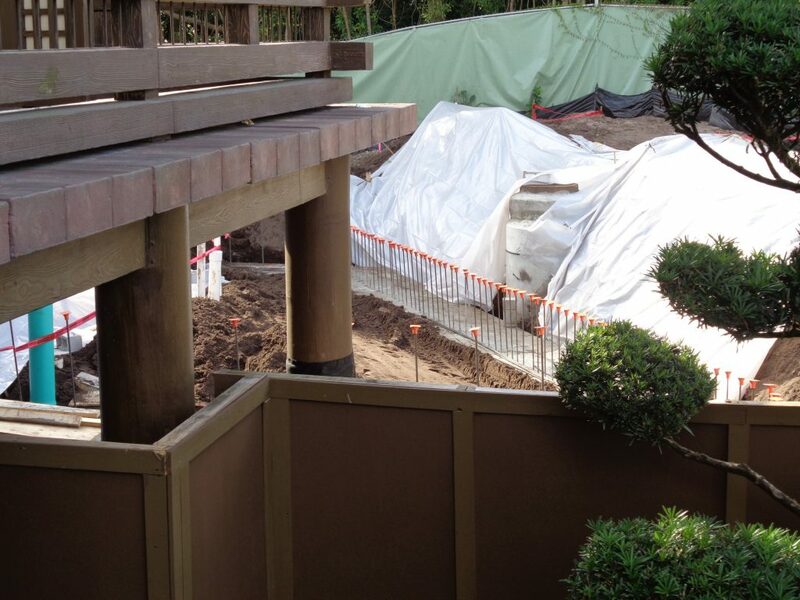 There you can see the space restaurant construction at the end of a path leading to a Cast Member backstage gate. The new restaurant will feature a massive wraparound “window” where diners can look out into space. 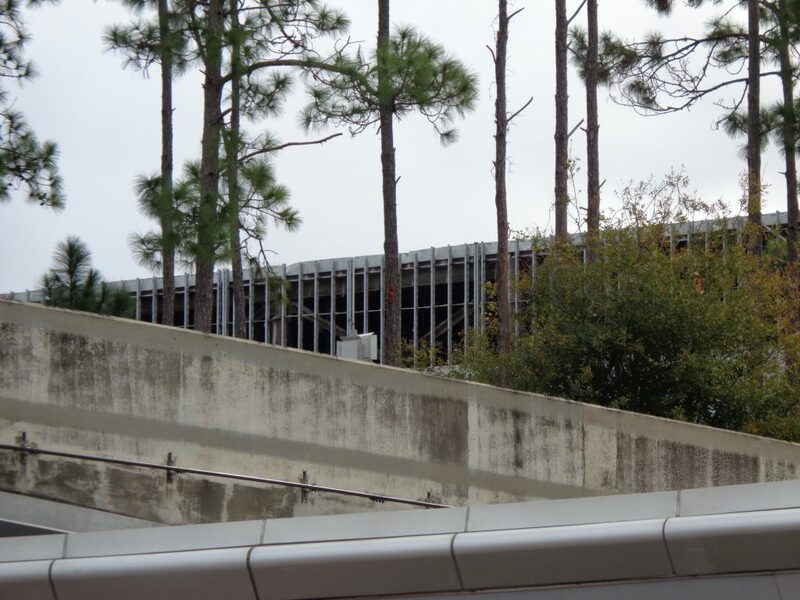 The curve in the structure is now becoming quite evident. 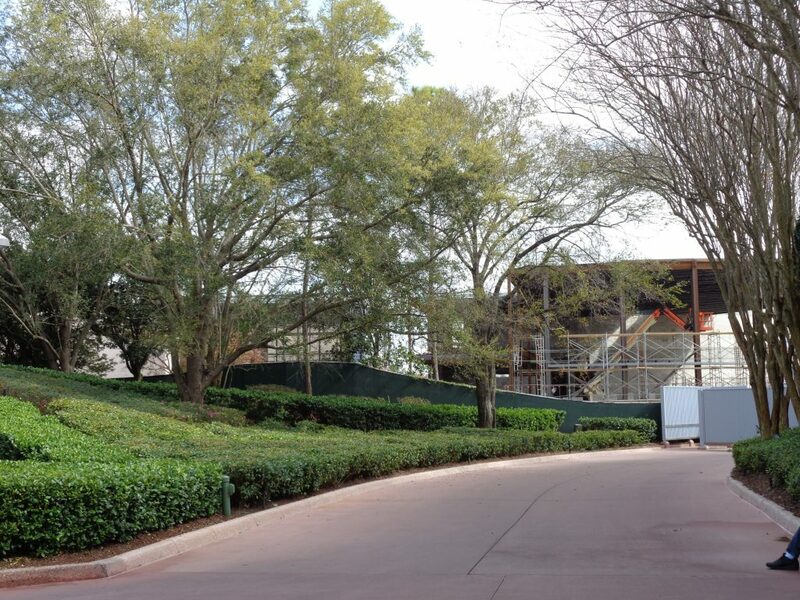 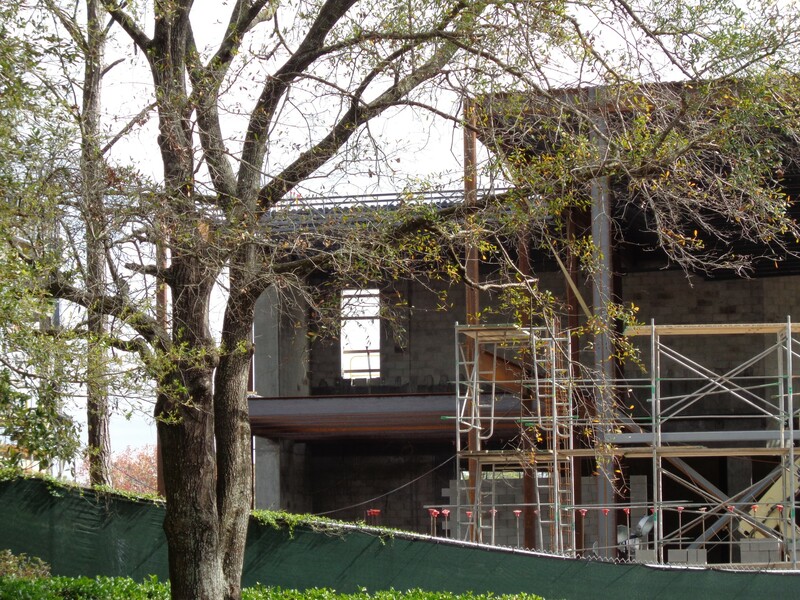 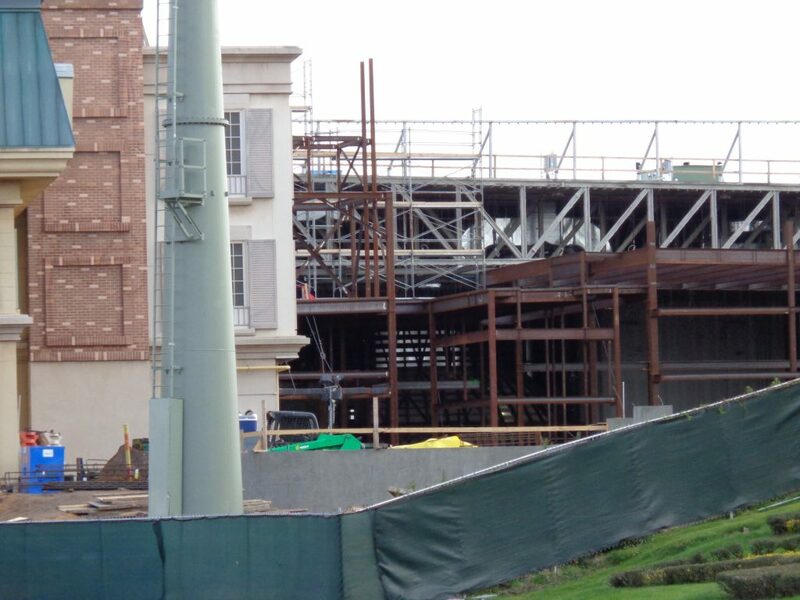 On the far left, we can sort of make out the old HP lounge, as well as new steel connecting it to the new dining room. 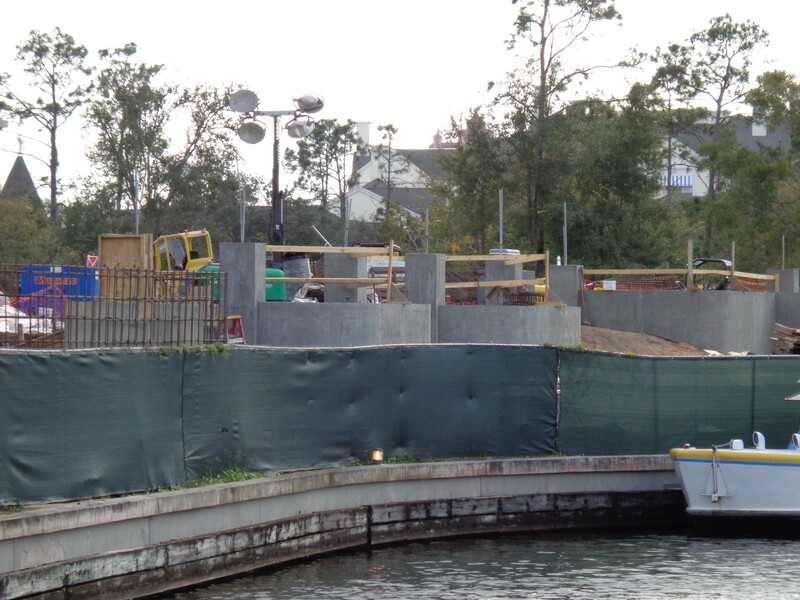 One last look at the entire construction area before we move on. 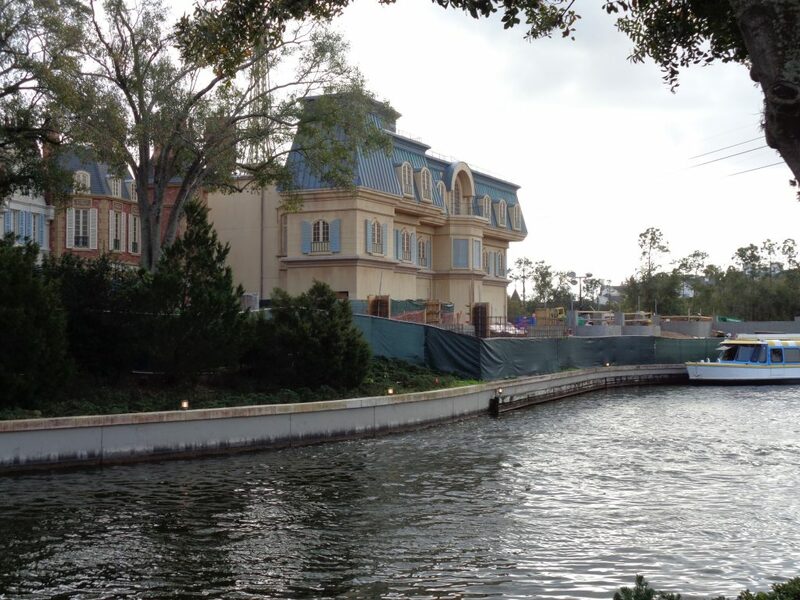 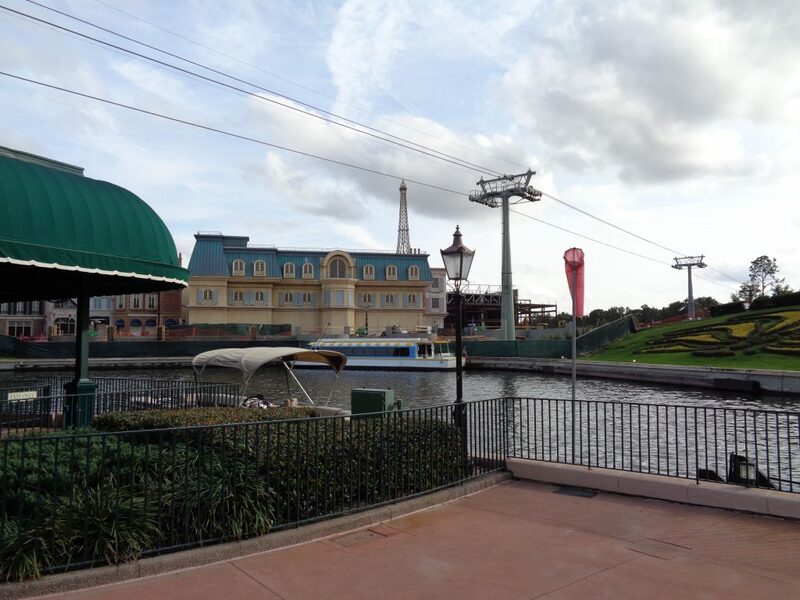 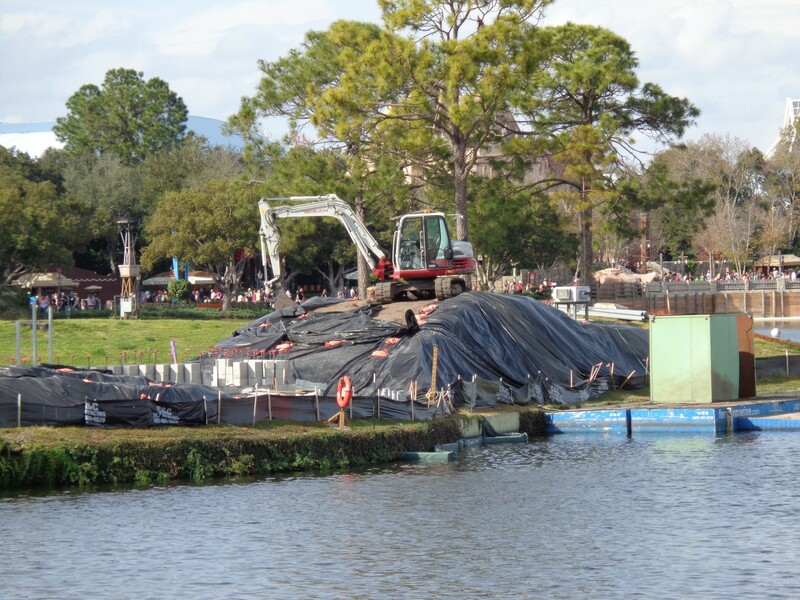 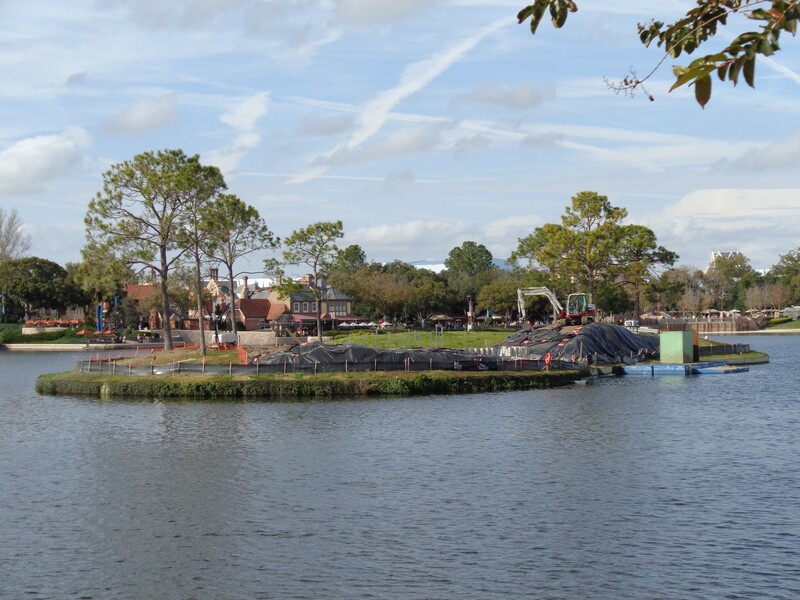 There has been a lot of work going on in World Showcase lagoon to prepare for the show replacing Illuminations. 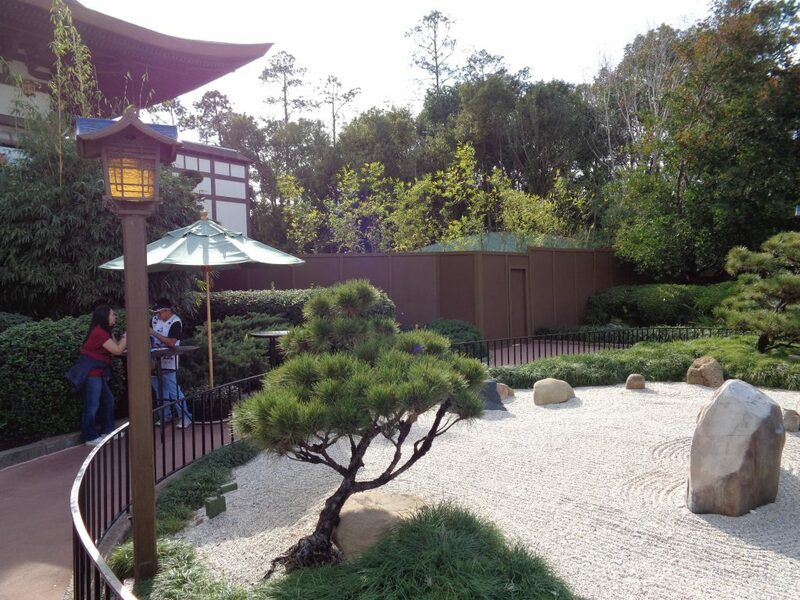 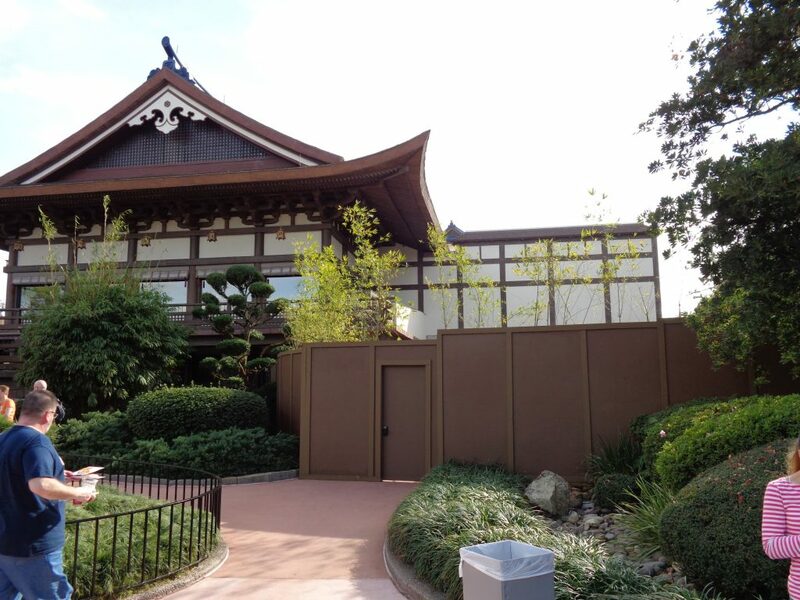 Moving on now to the Japan pavilion, where a new signature restaurant is being built. 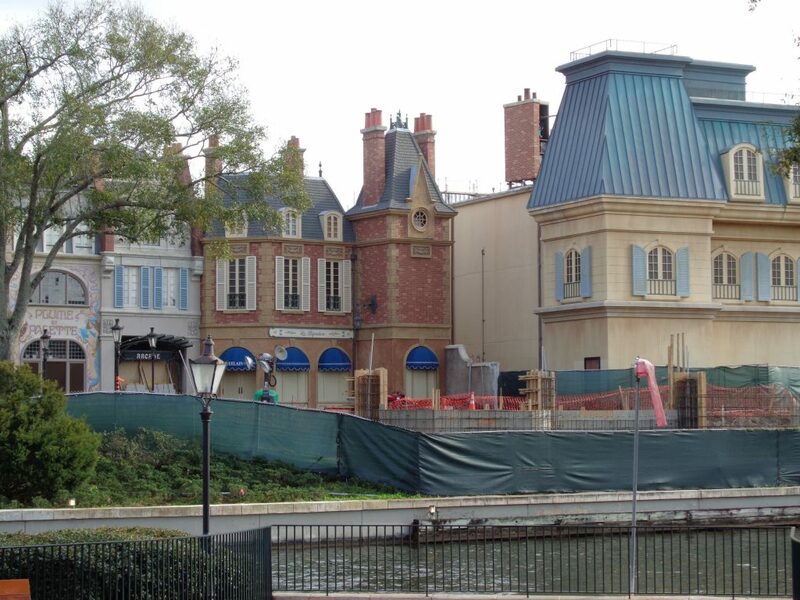 The new restaurant’s entrance will be located on the right of the existing restaurants. 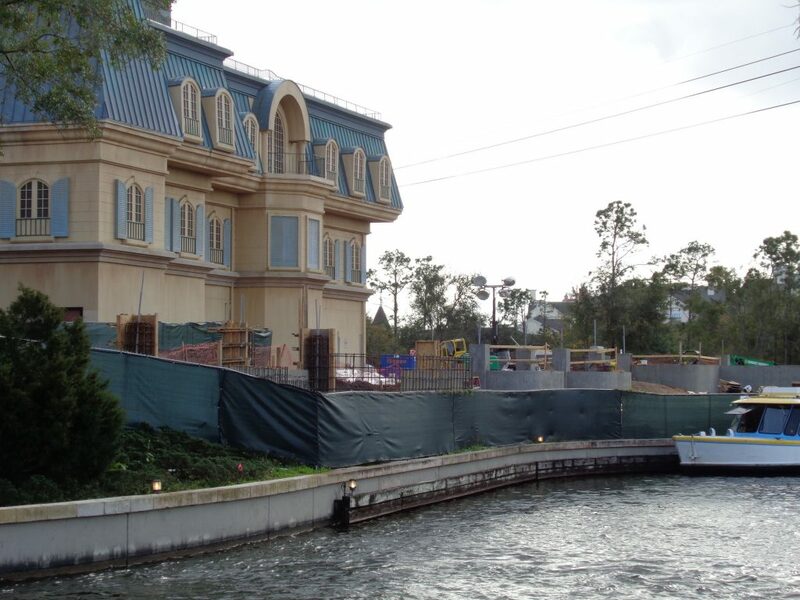 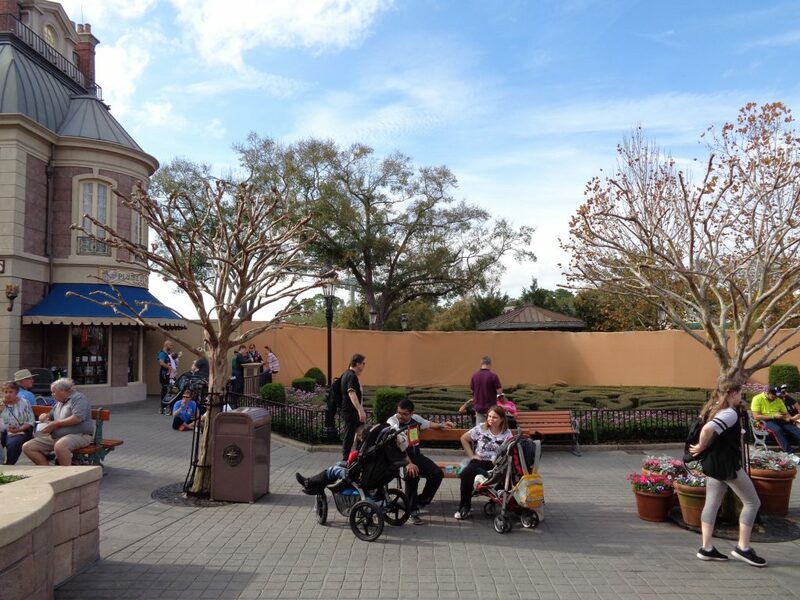 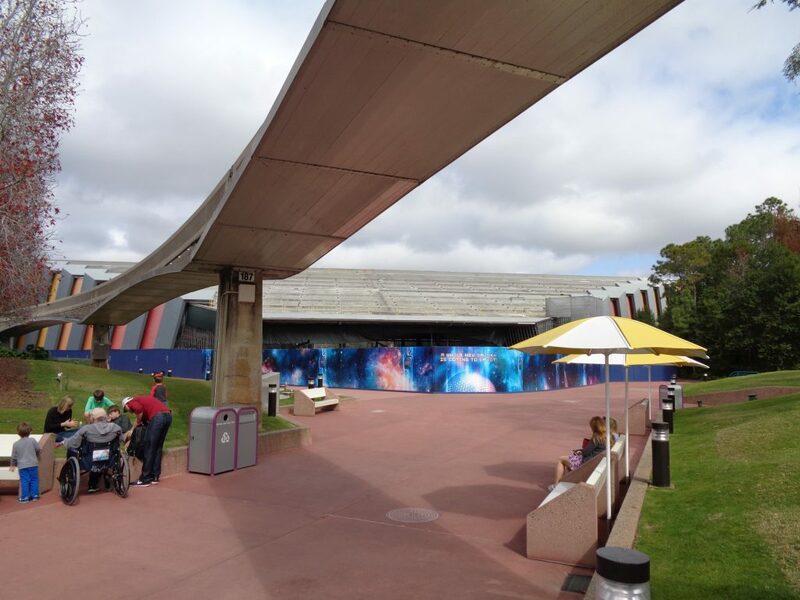 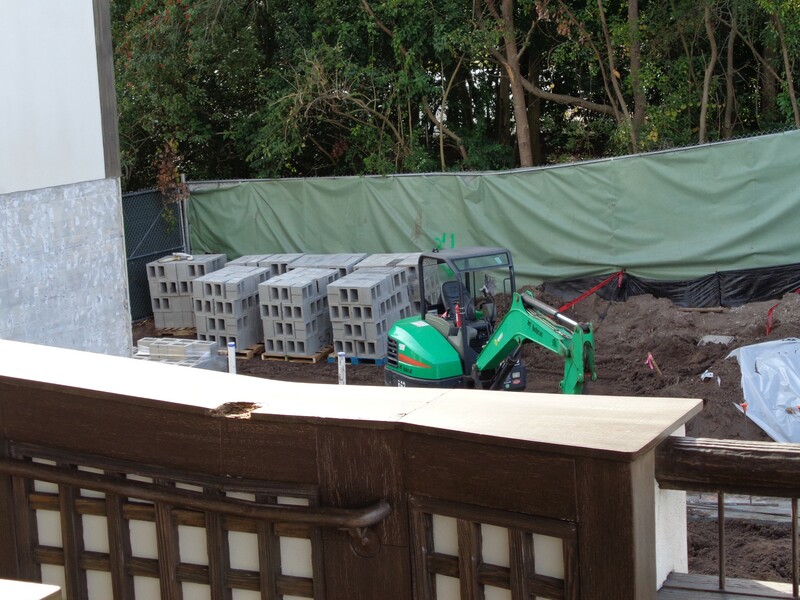 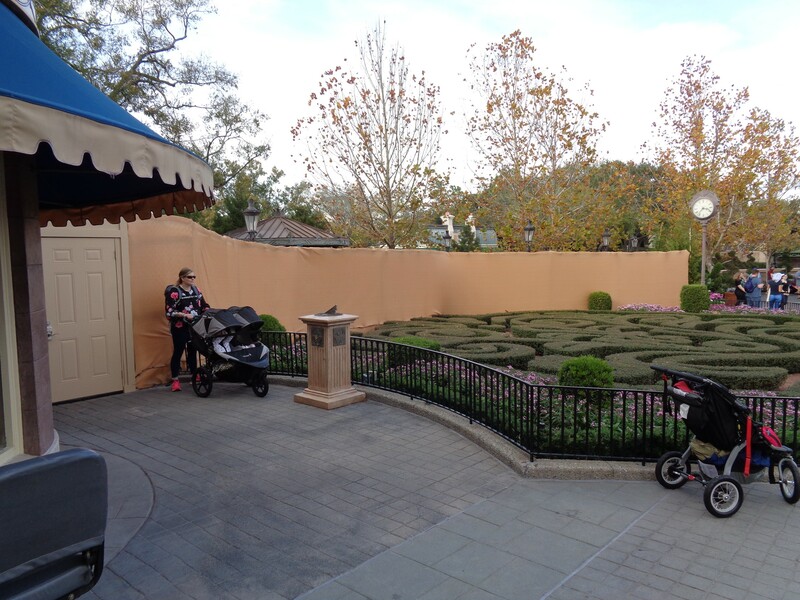 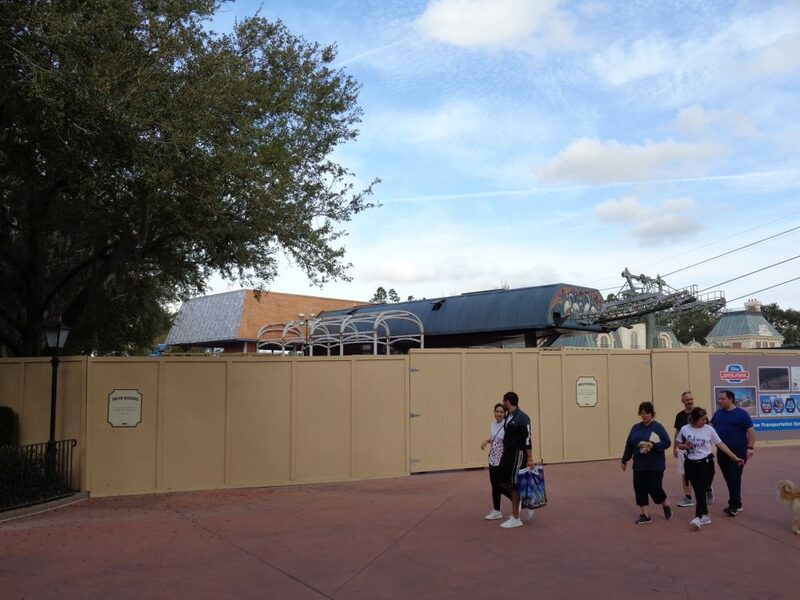 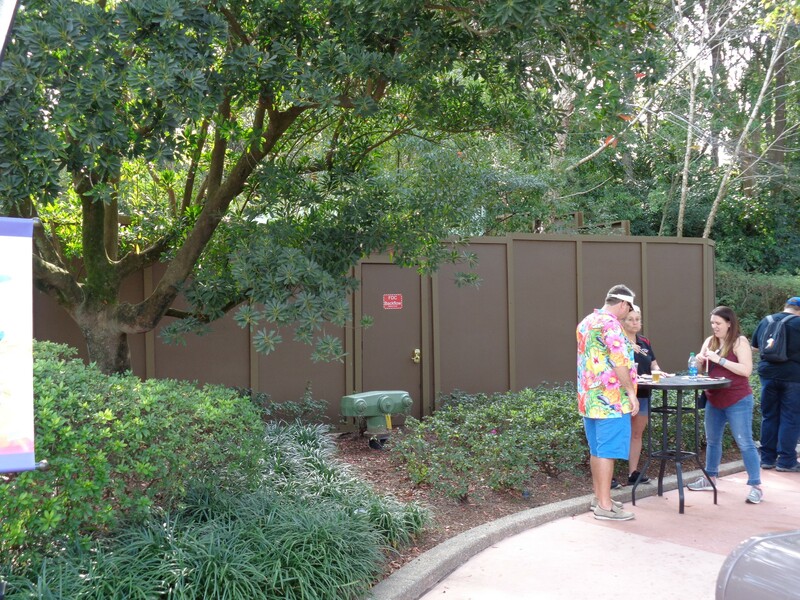 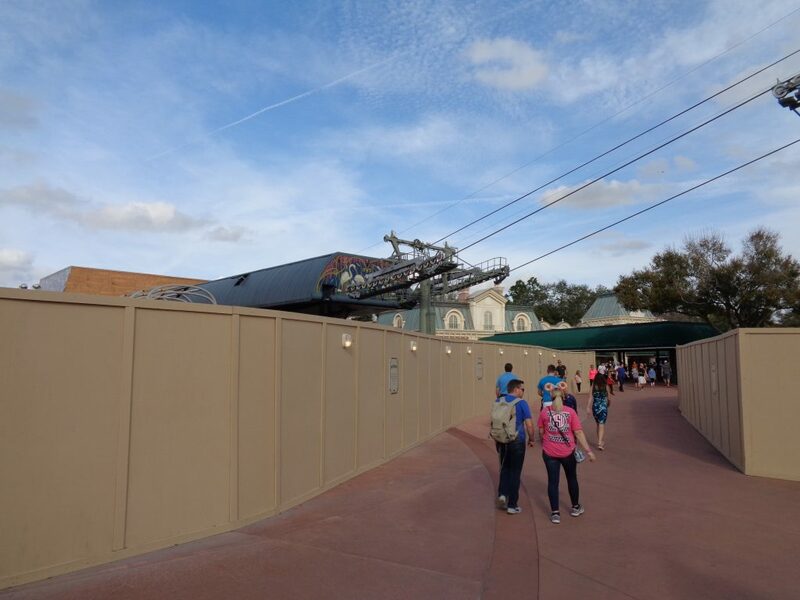 Moving on to France, there are now work walls blocking the entire right side of the pavilion. 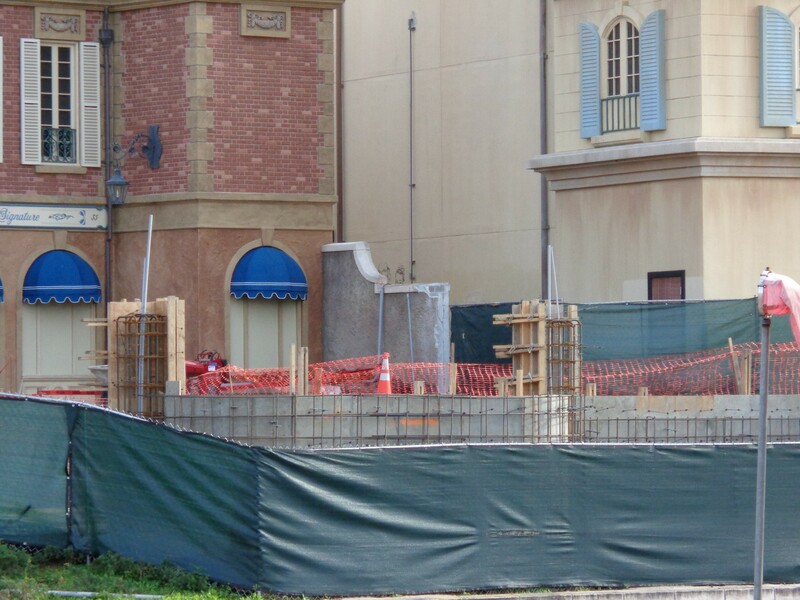 An expansion to the path on the far right, along the water, is being added to connect the current pavilion area to a new courtyard behind the pavilion leading to the new Ratatouille ride. 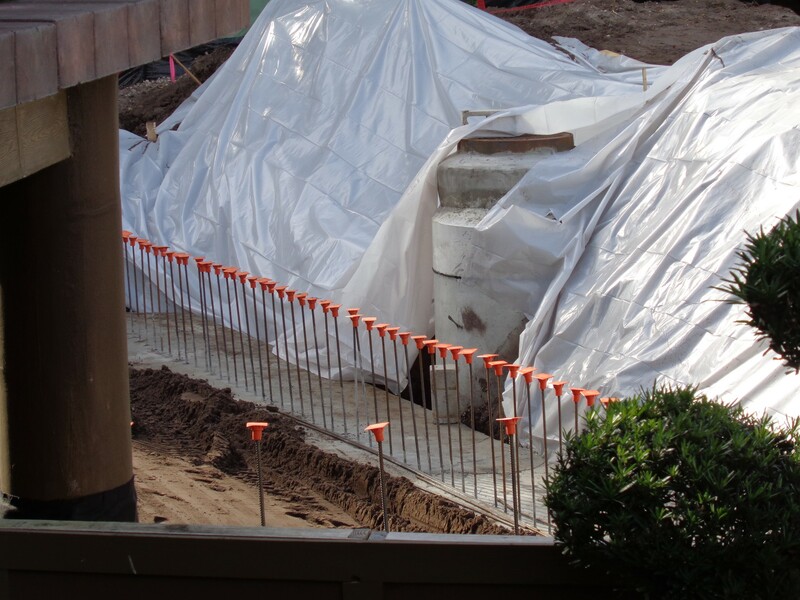 The view from the International Gateway allows us to see more of the work happening now on the new street being added to the pavilion. Once we step just outside the park, heading towards Disney’s Boardwalk, we can see the future facade for Remy’s Ratatouille Adventure. If you look closely inside, you may be able to spot some curved walls that will later be screens for this trackless dark ride. 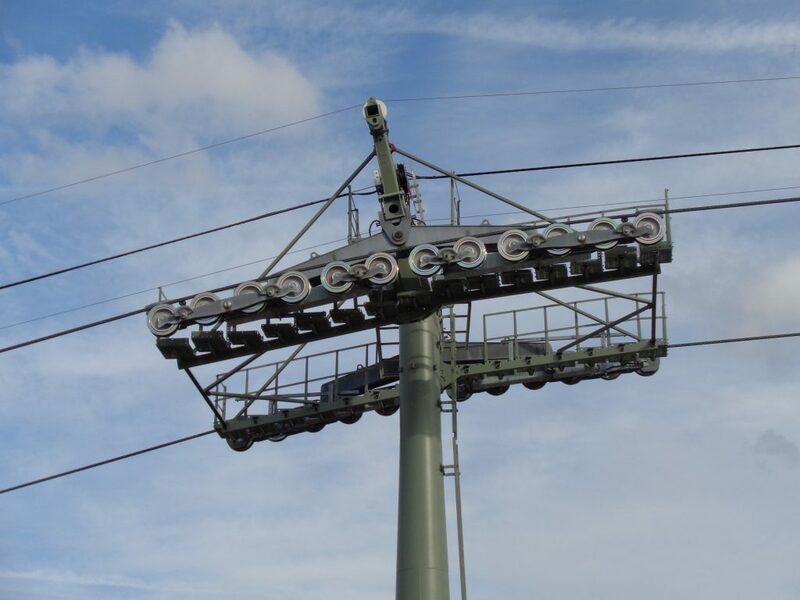 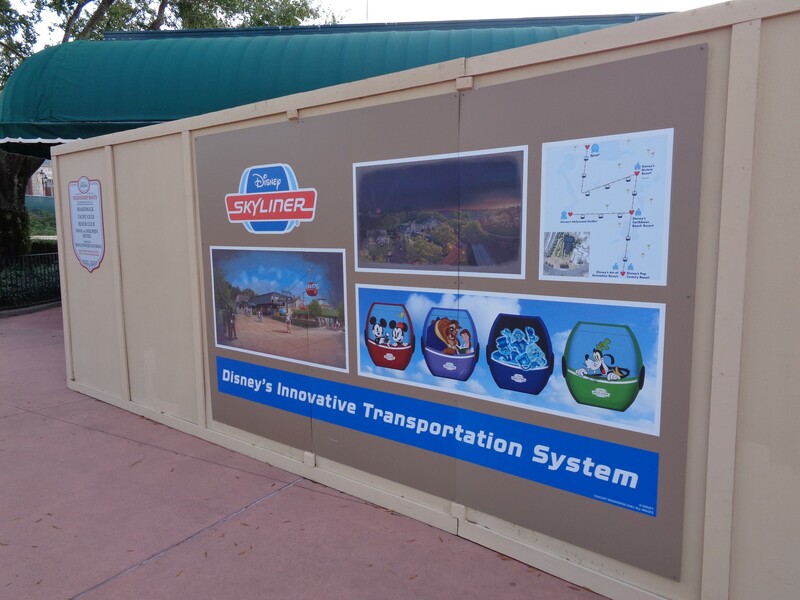 Before we leave, let’s get a look at the new Disney Skyliner station for Epcot. 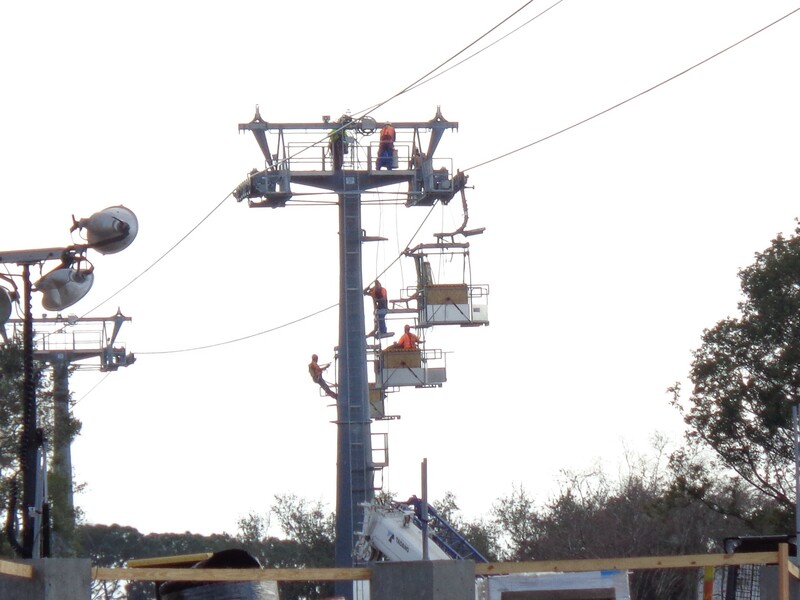 In addition to work being done on the Skyliner station, we can see workers in suspended buckets working on the line behind the France Pavilion. 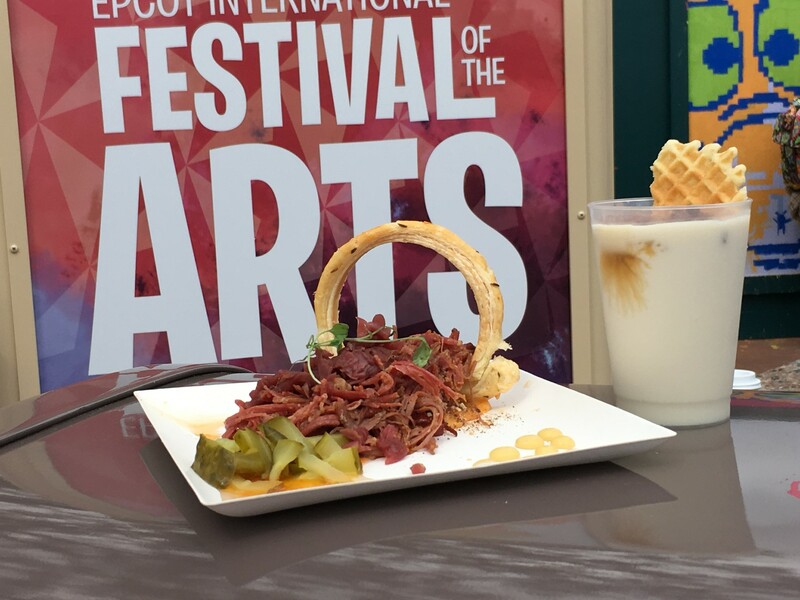 And remember, the Epcot International Festival of the Arts is still going on at the park. 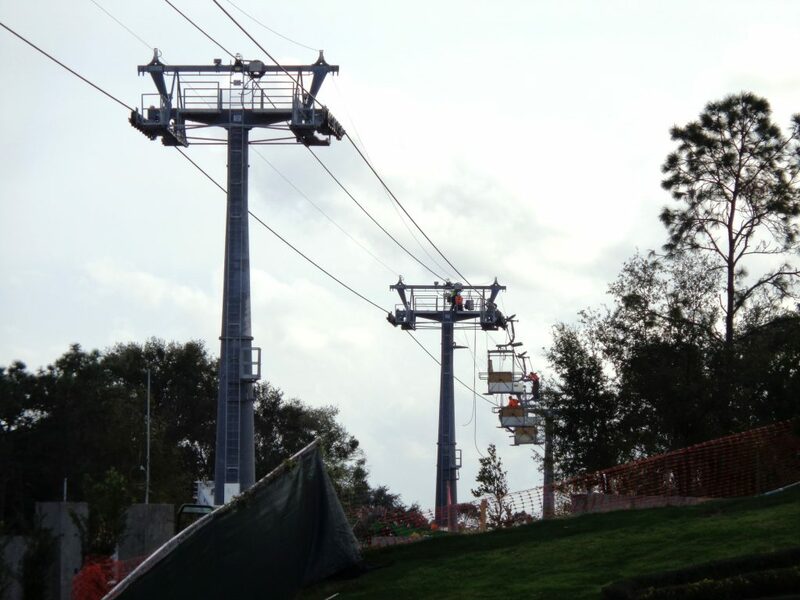 Click here to see the full list of food booths with menus and prices, plus concert schedule. 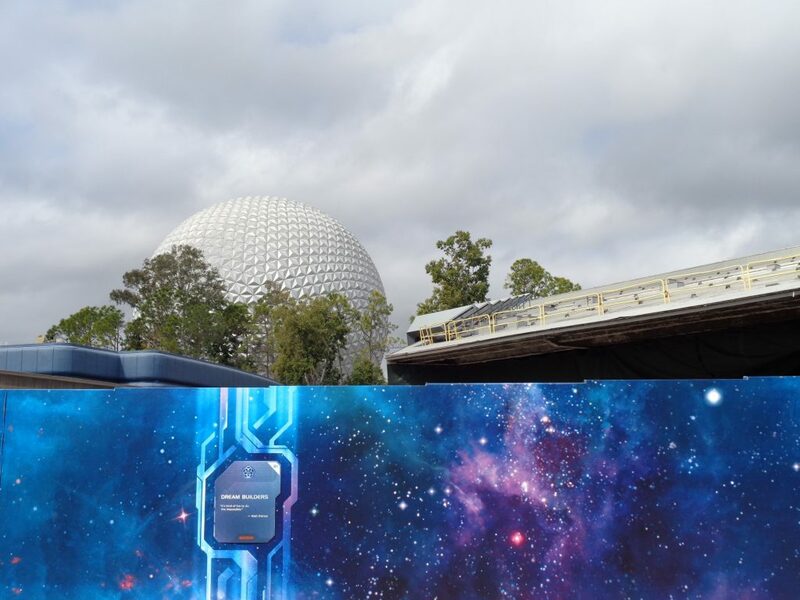 That’s all for the is Epcot update. 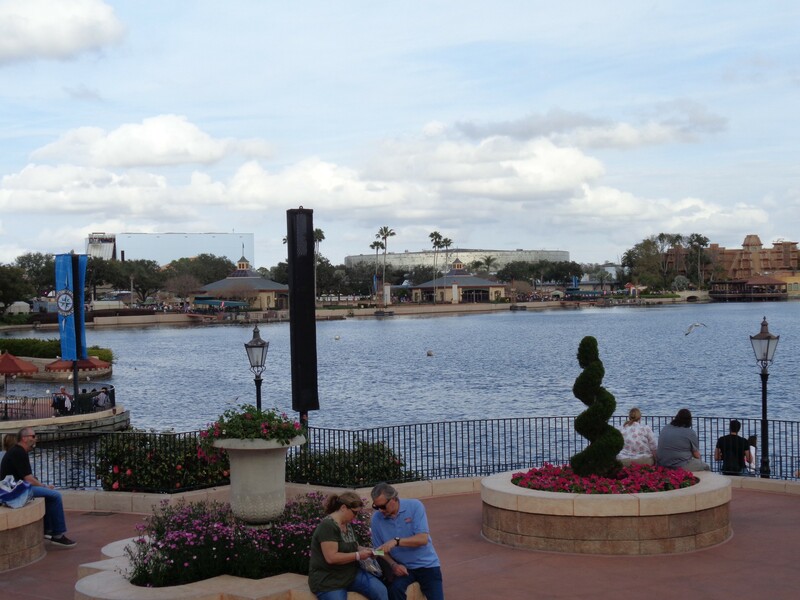 If you’re planning a trip to Walt Disney World, request your free vacation quote from Elizabeth at Destinations in Florida. 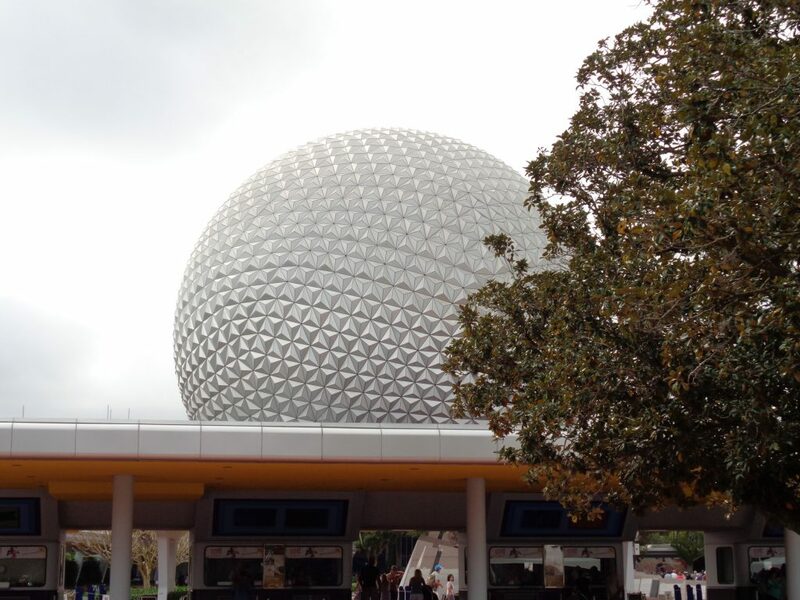 She’s a travel planning expert that can help you plan your dream Disney vacation with the best deals on theme park tickets and on-site hotels. 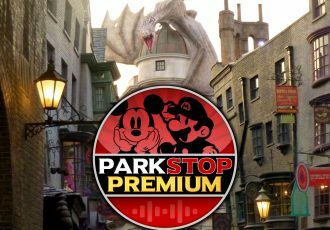 The best part is, her service is completely FREE when you book through them!